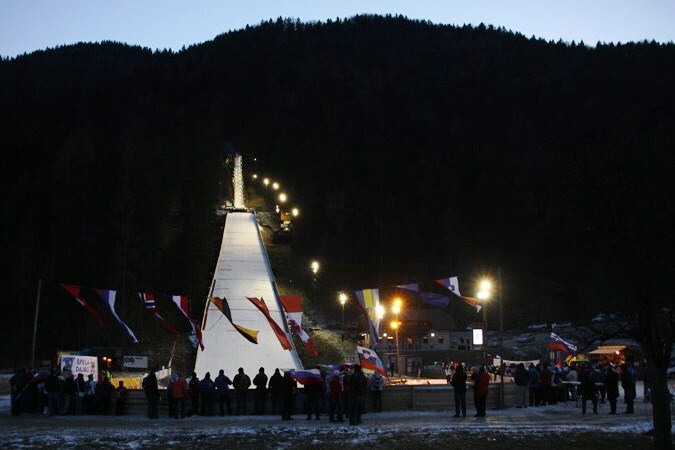 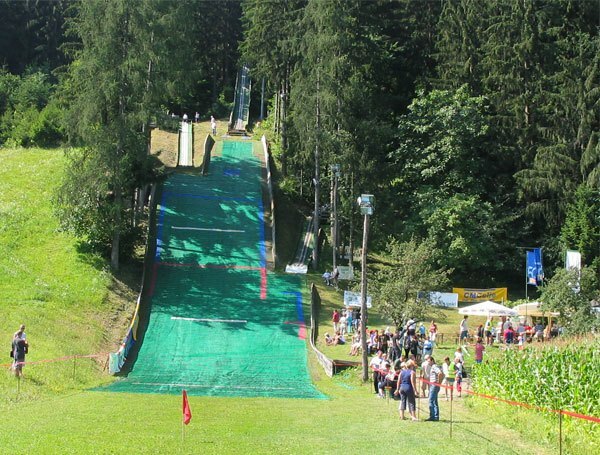 Already 1931 the first ski jumping competitions were held in Ljubno (northern Slovenia) on snow hills. 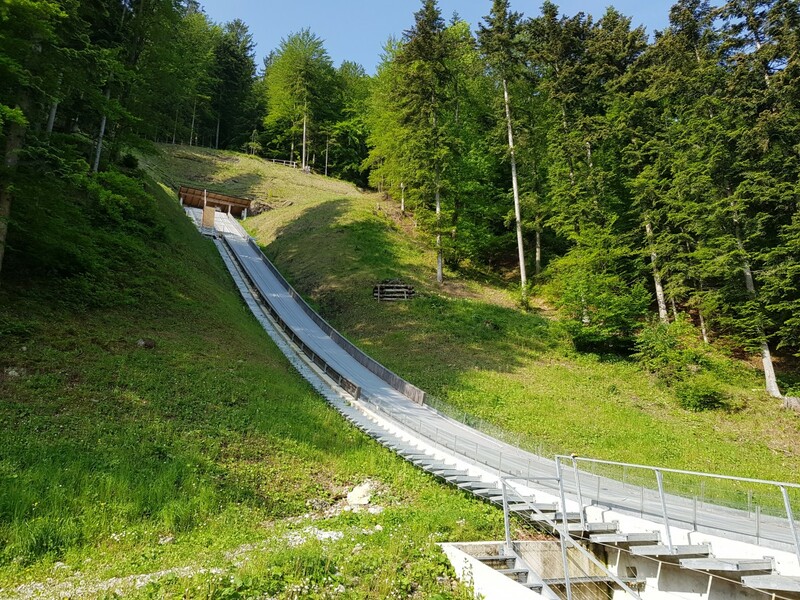 1947 the Slovenian sportsman and architect Stanko Bloudek who also designed plans of the first ski flying hill “Velikanka” in Planica visited Ljubno and negotiated to build a new 60-metre-hill. 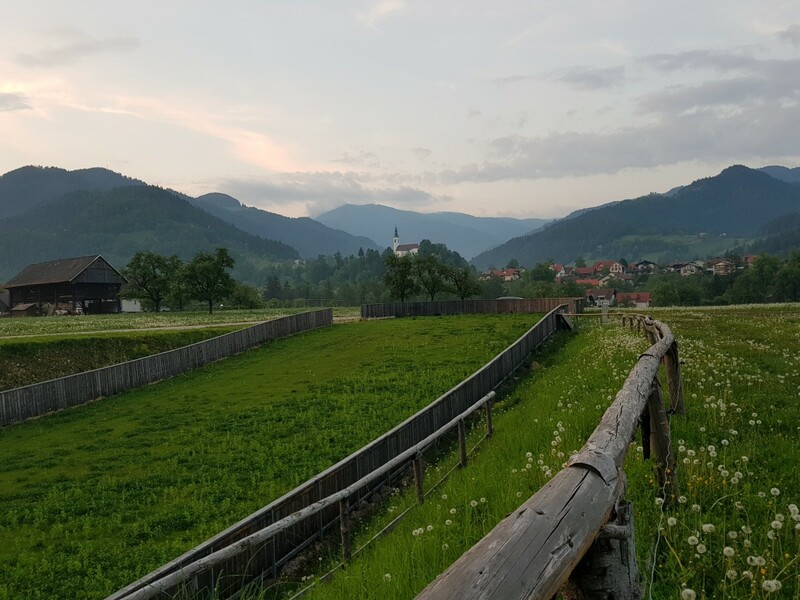 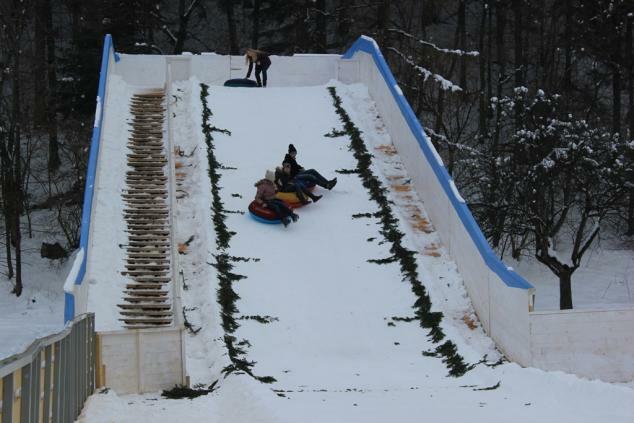 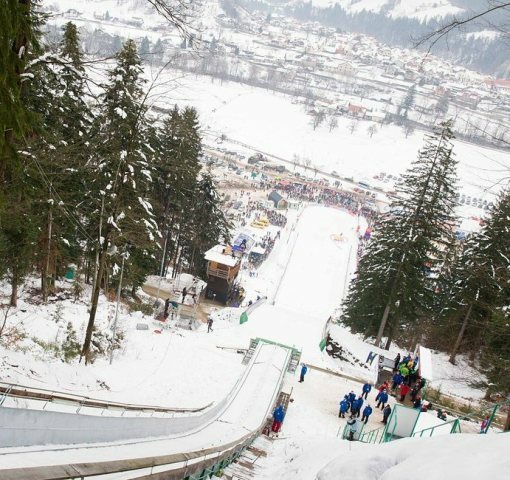 Building the first jumping hill in Ljubno, by the help of a lot of enthusiastic Slovenian people and financially potential organizations, began in 1949 an lasted three years long. 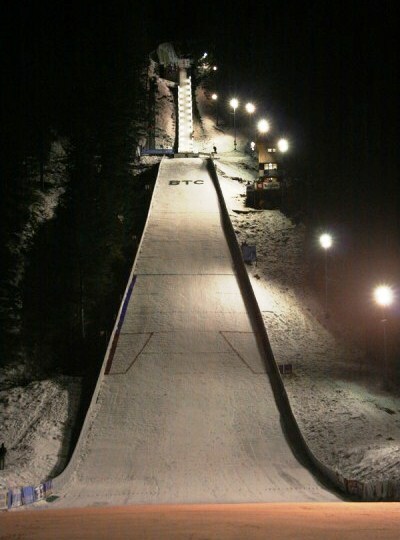 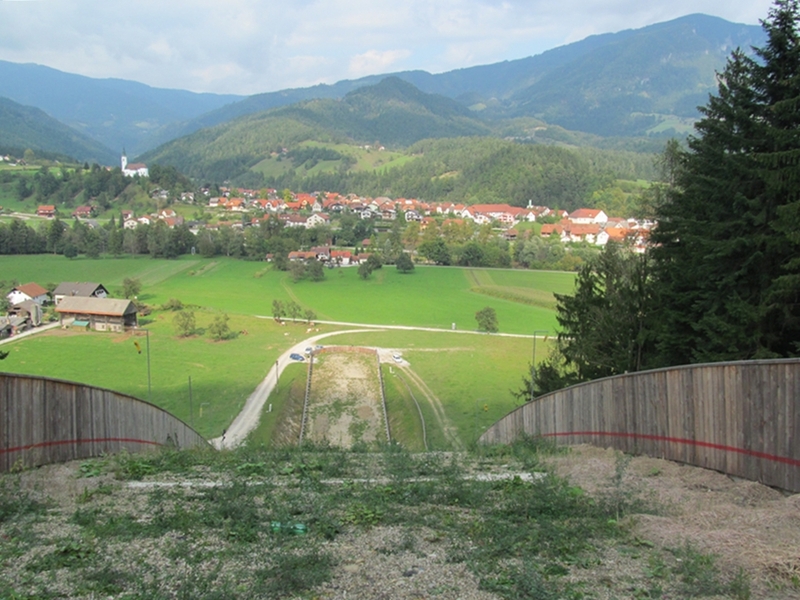 The first ski jumping competition on this new hill was held on 8th February 1952. 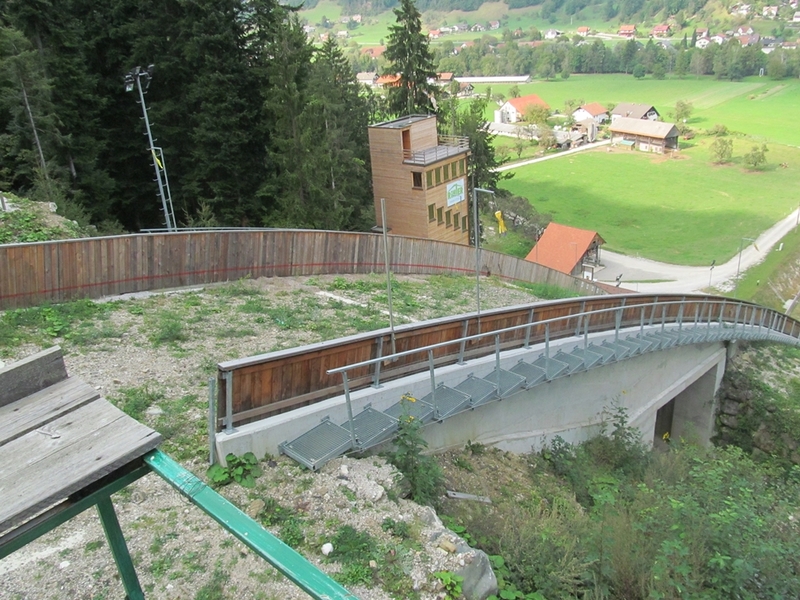 Franc Jamnik made the inauguration jump. 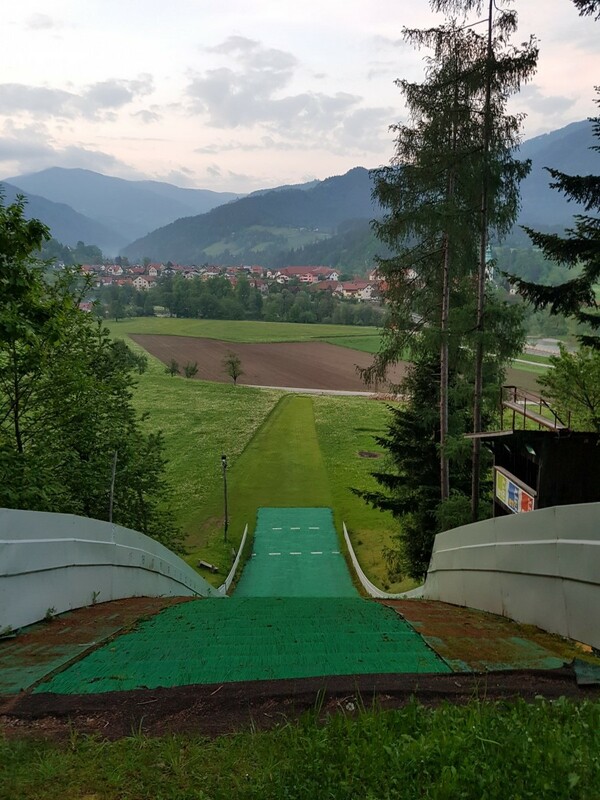 In 1953 Bloudek came to Ljubno and told that he had been criticized at the Ski Federation in Ljubljana, because he had built such a big hill in Ljubno and not also little hills for young jumpers to prepare for lager hills. 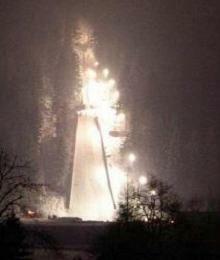 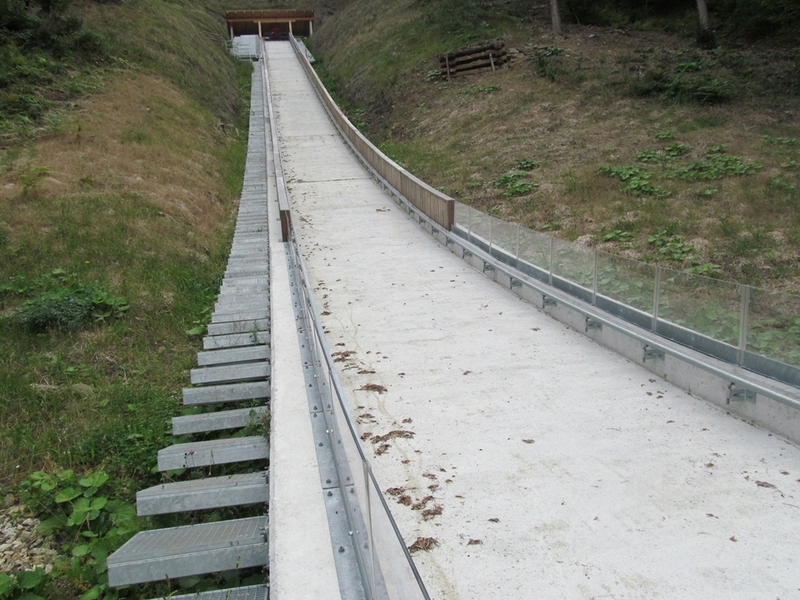 So it was decided to build a 25 meter hill, which was constructed in 1955. 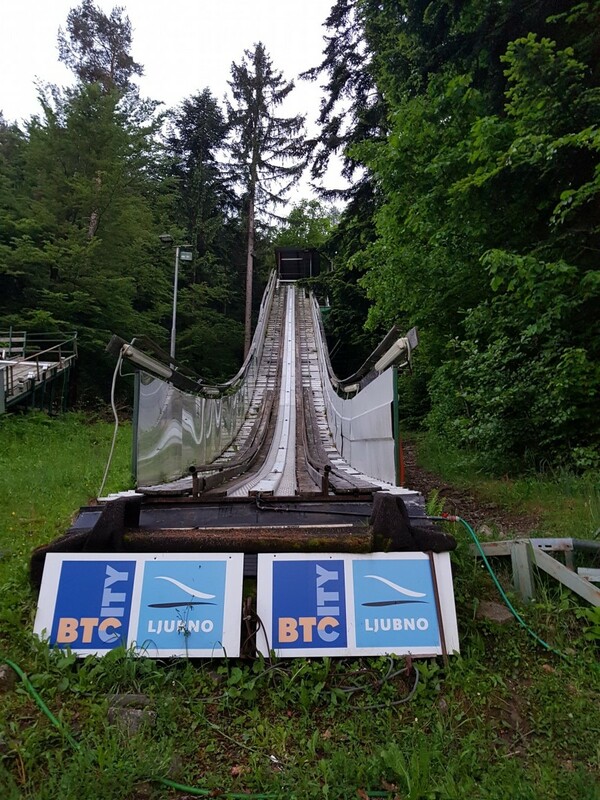 Ski jumping competitions were held in annual terms until 1962, but then ski jumping fell into oblivion and then the next competition took place 1969. 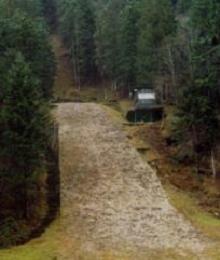 Then a new ski club was founded, which organized a next big ski jumping competition in 1973 on the K65. 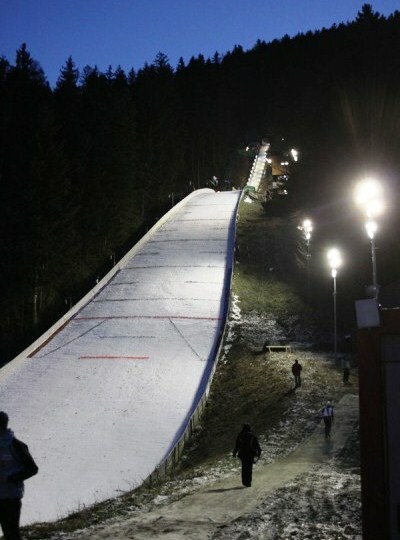 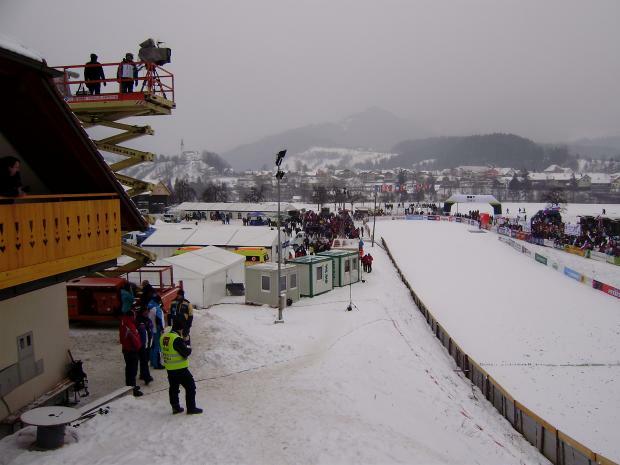 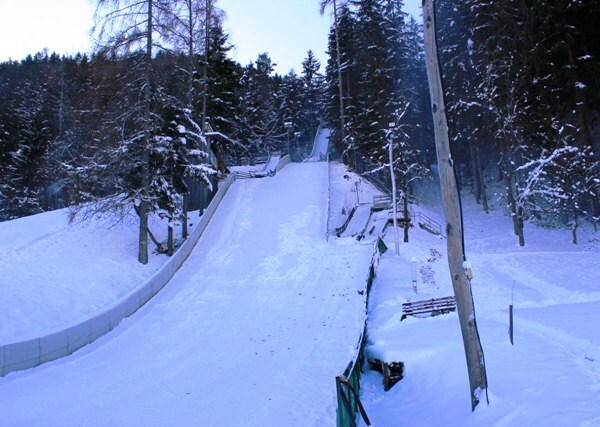 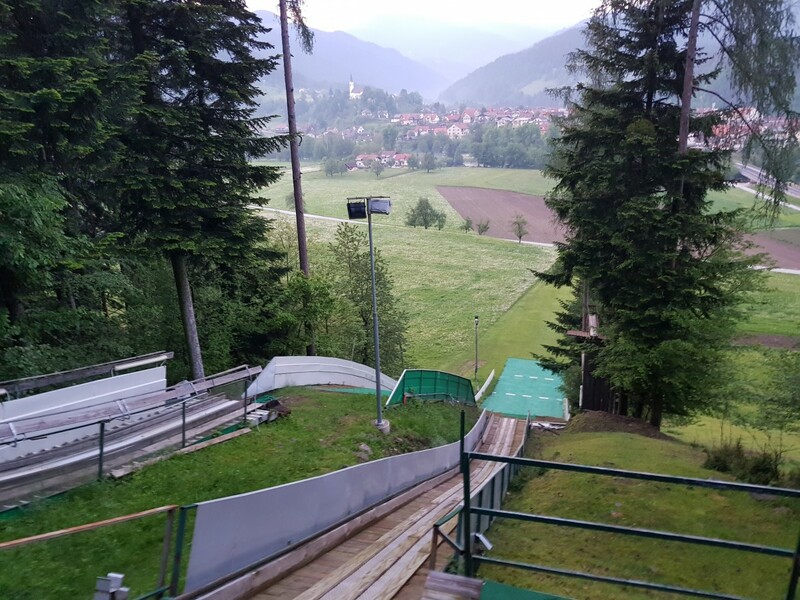 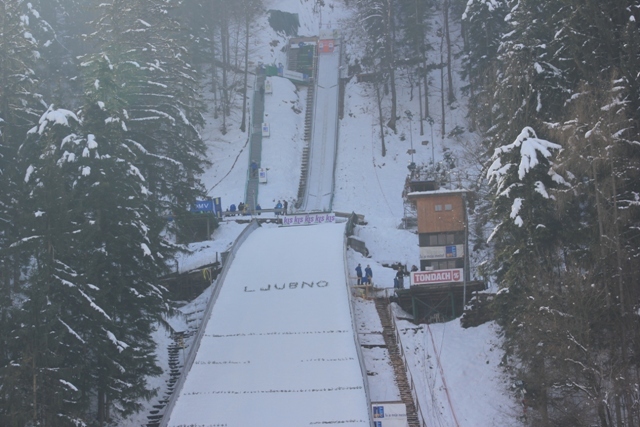 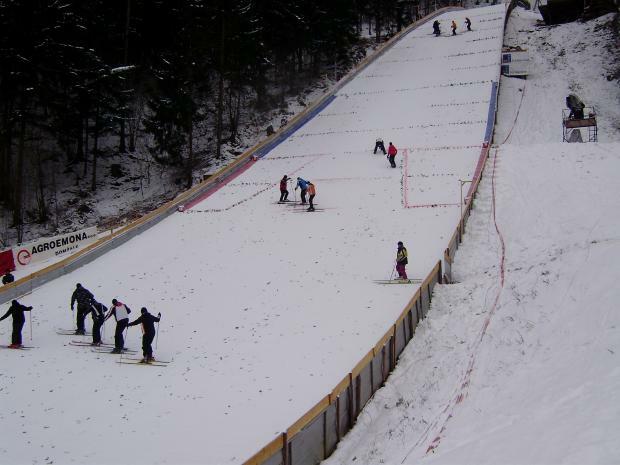 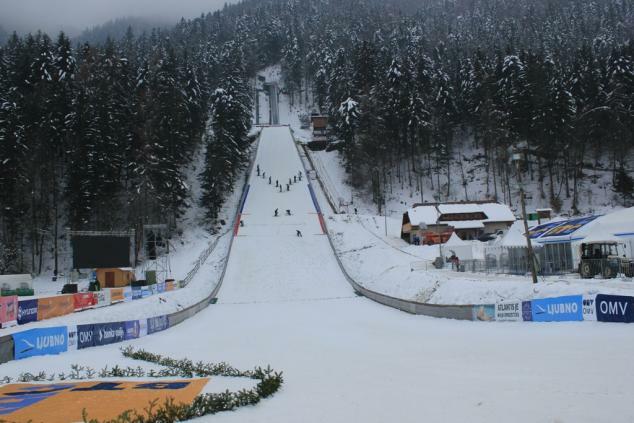 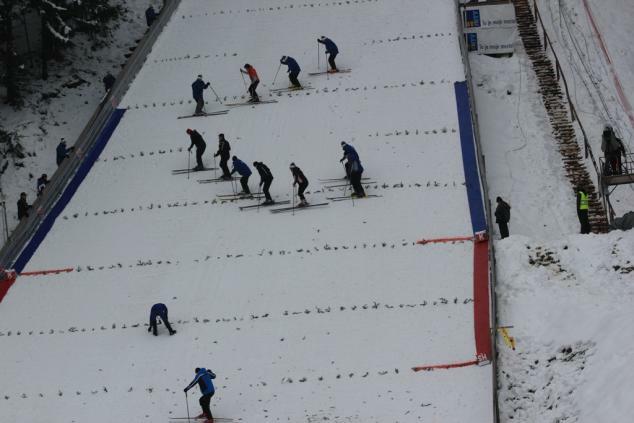 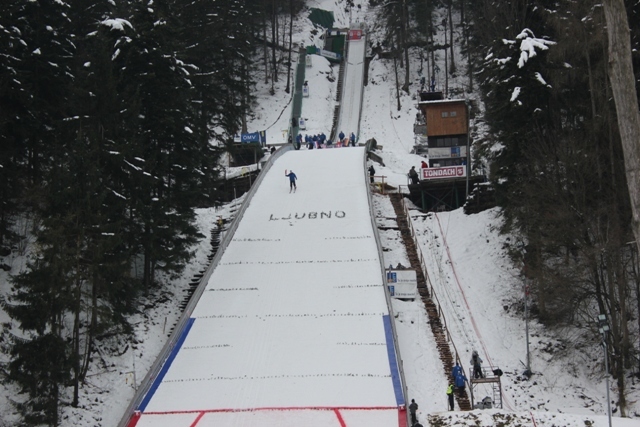 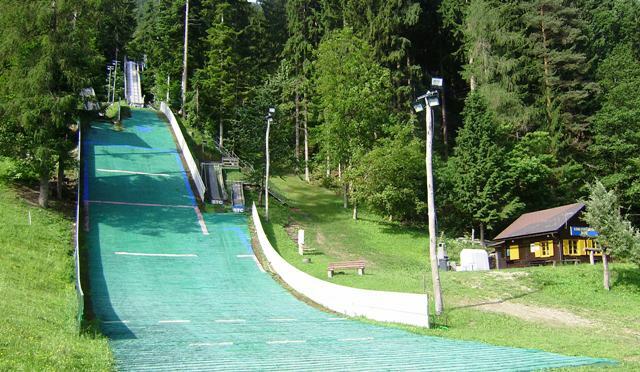 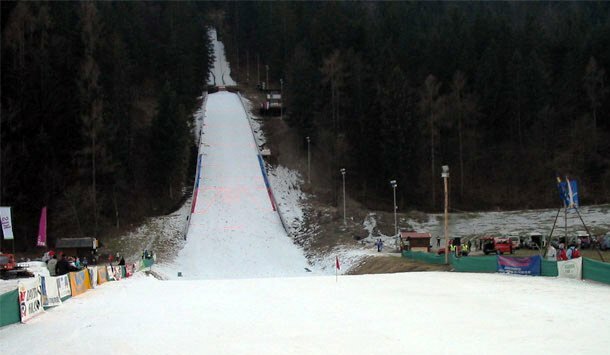 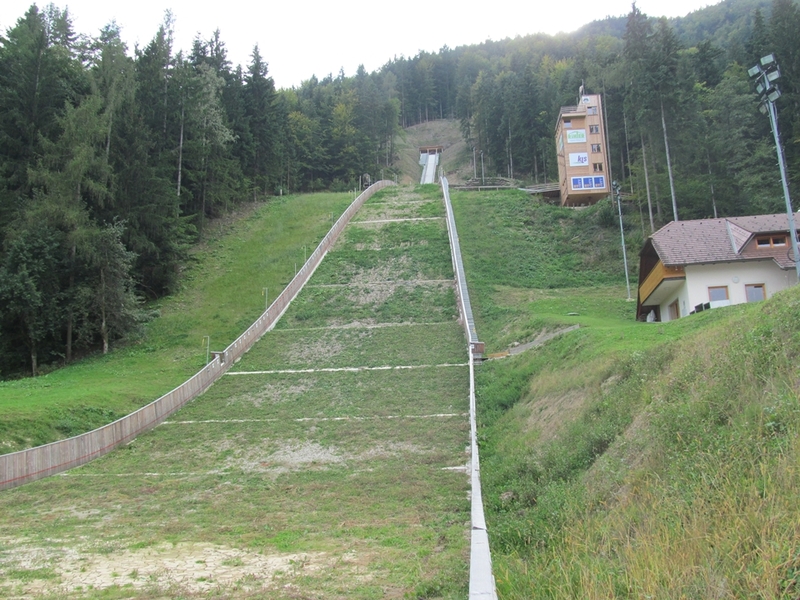 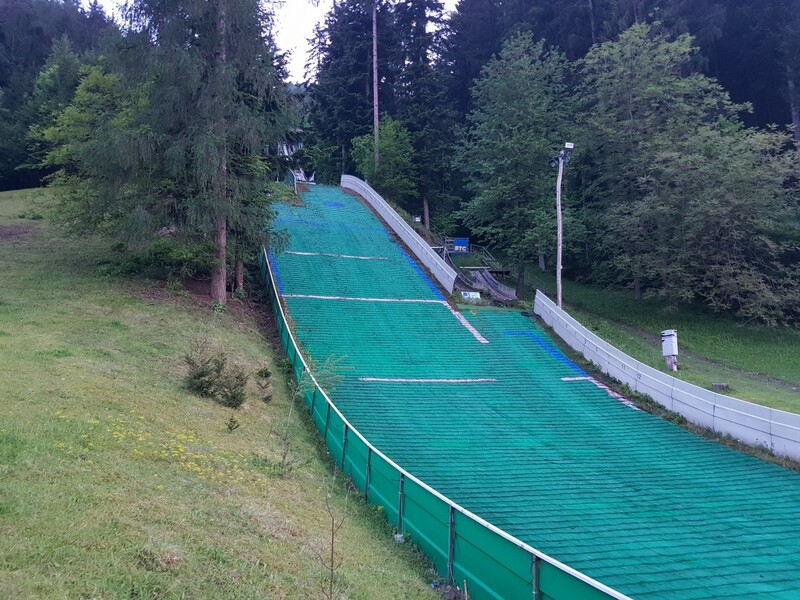 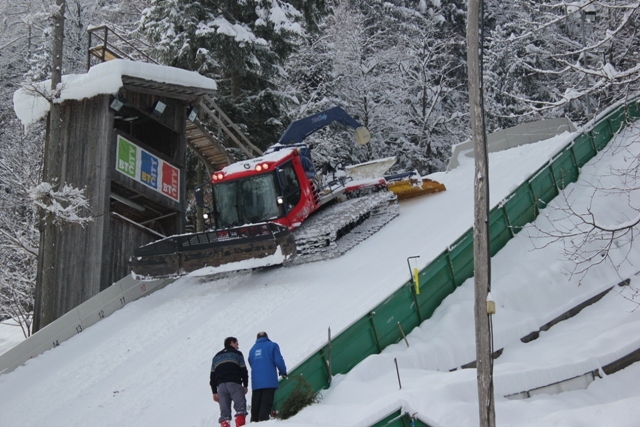 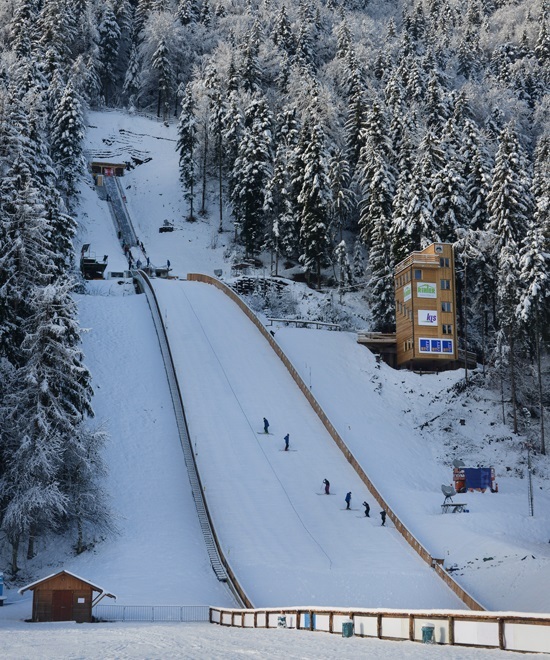 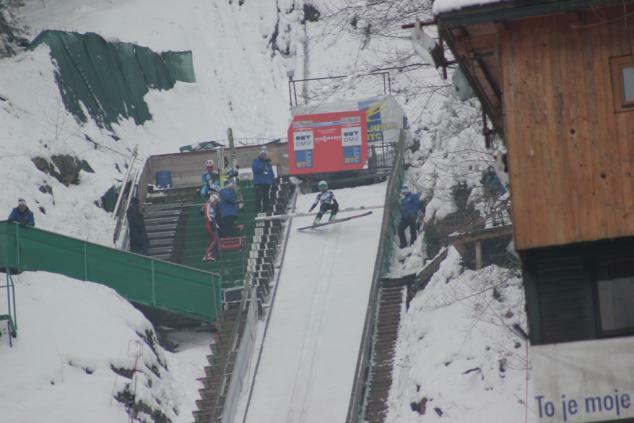 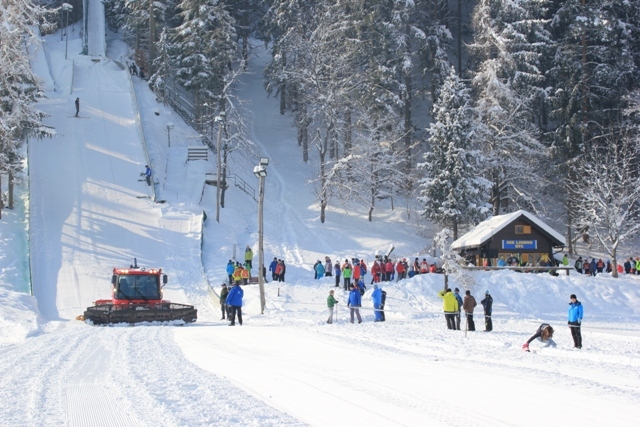 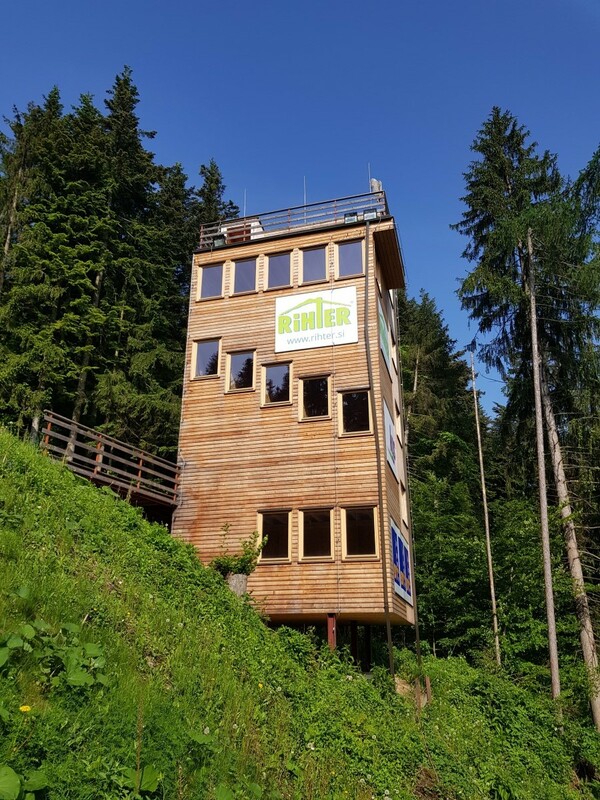 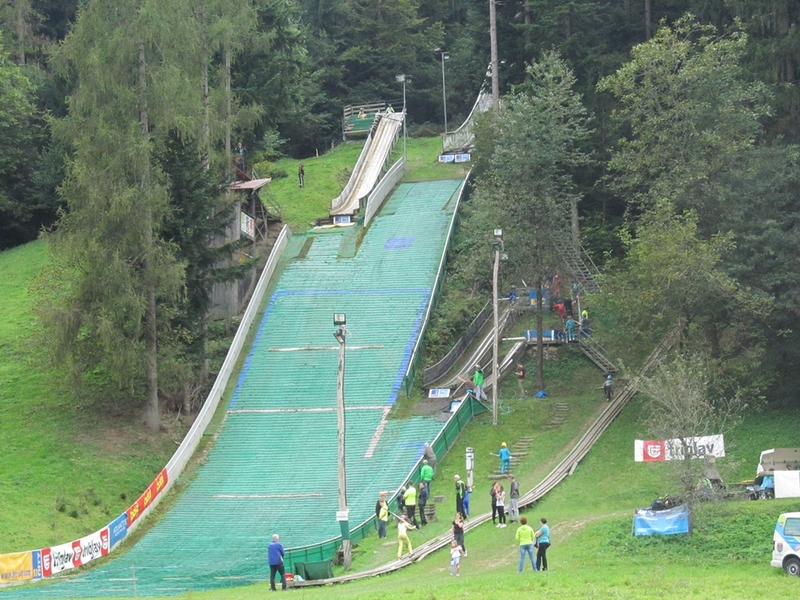 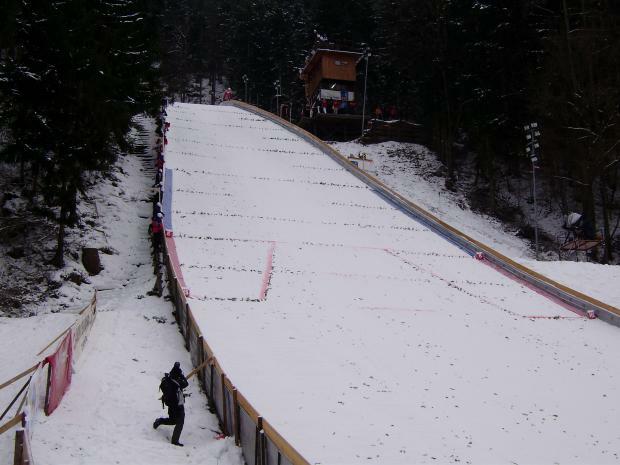 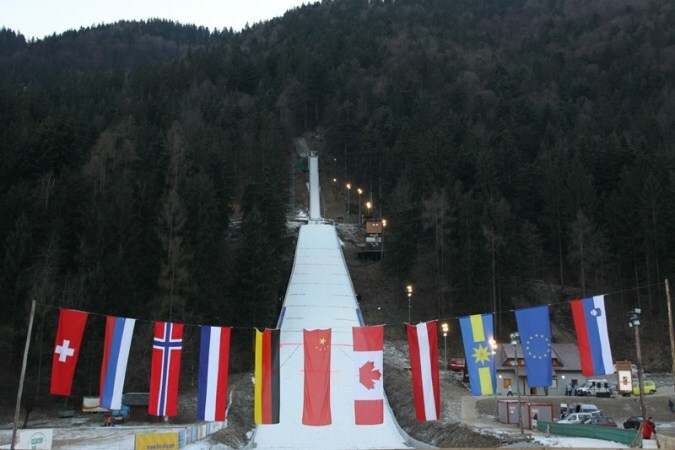 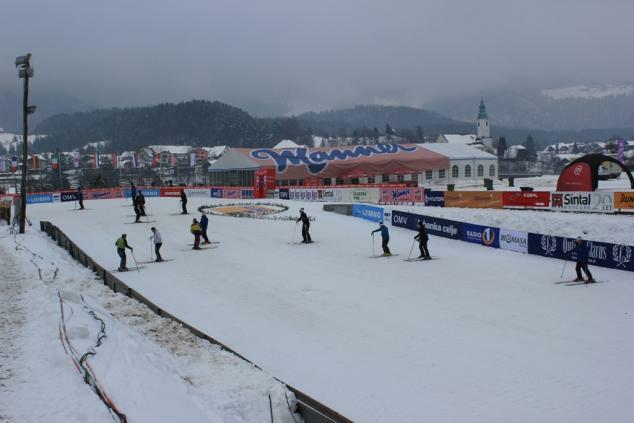 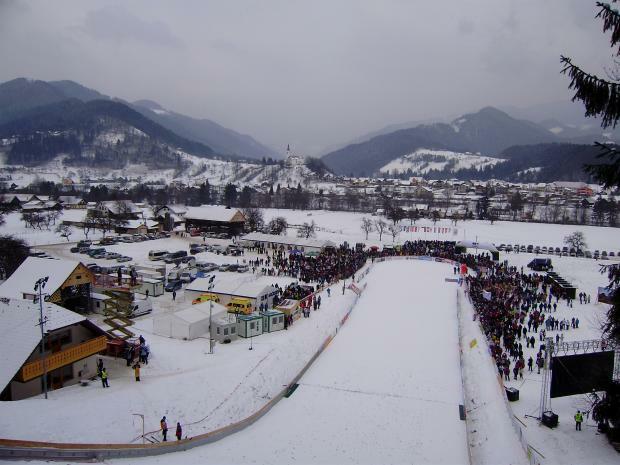 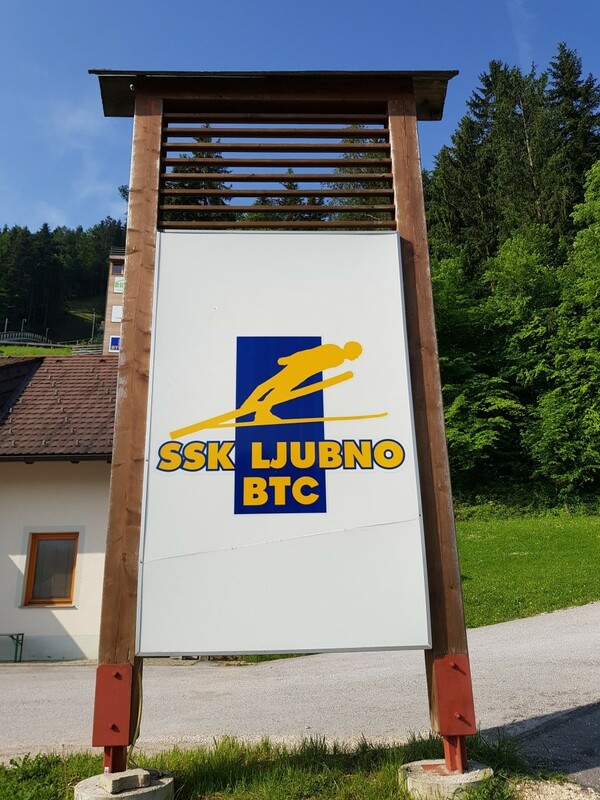 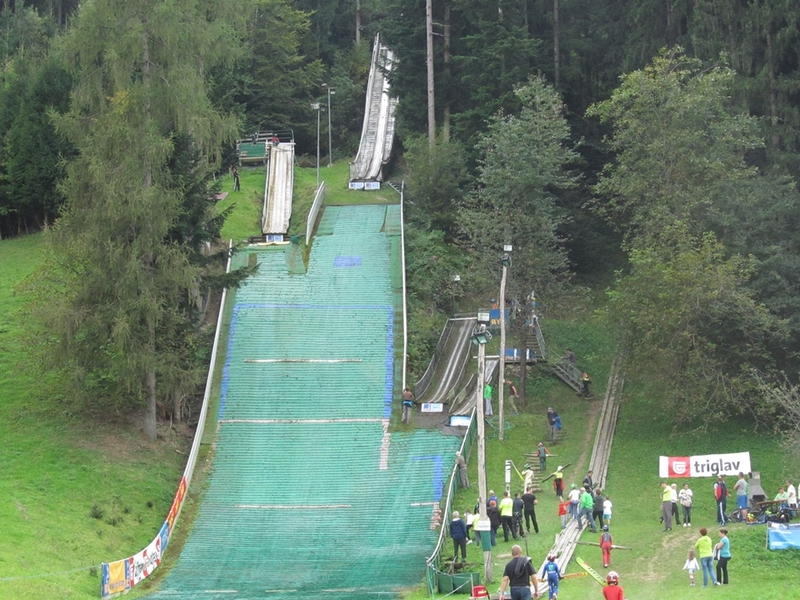 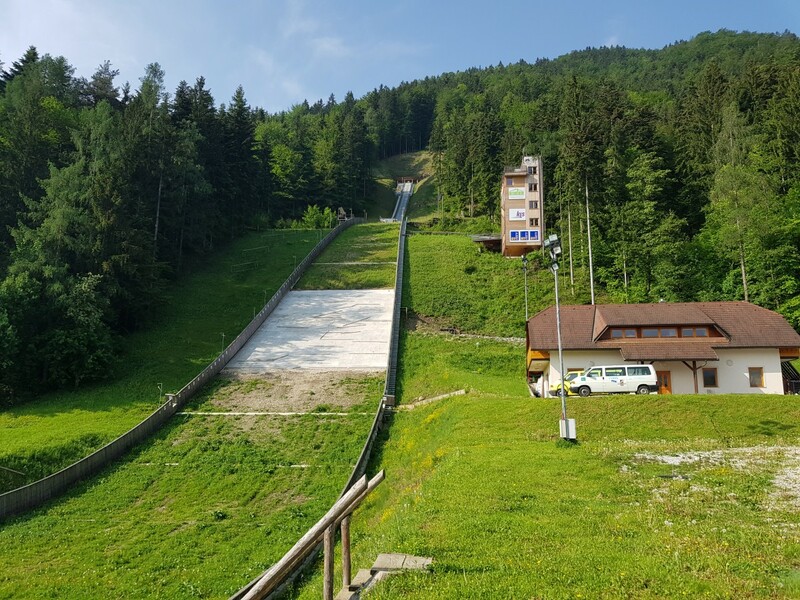 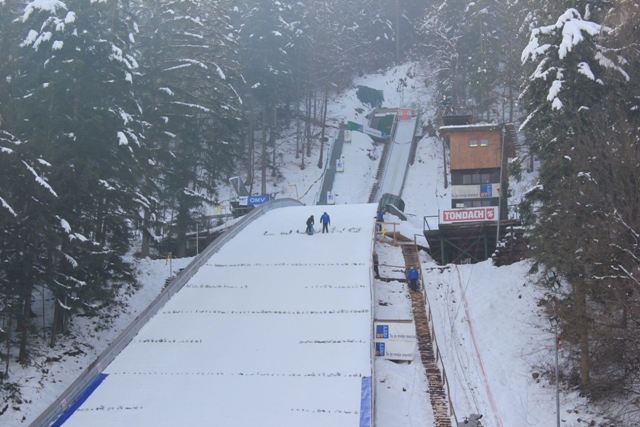 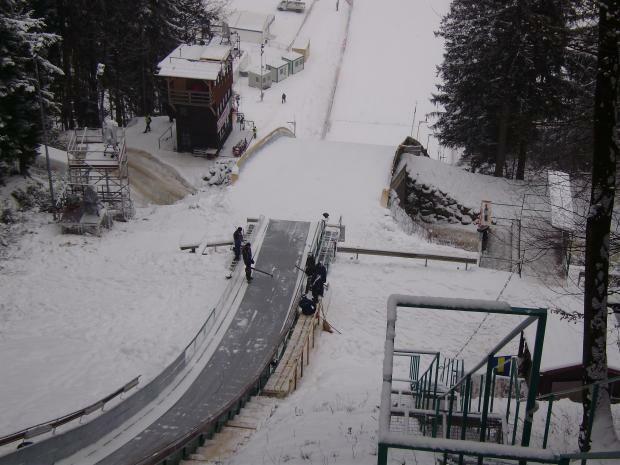 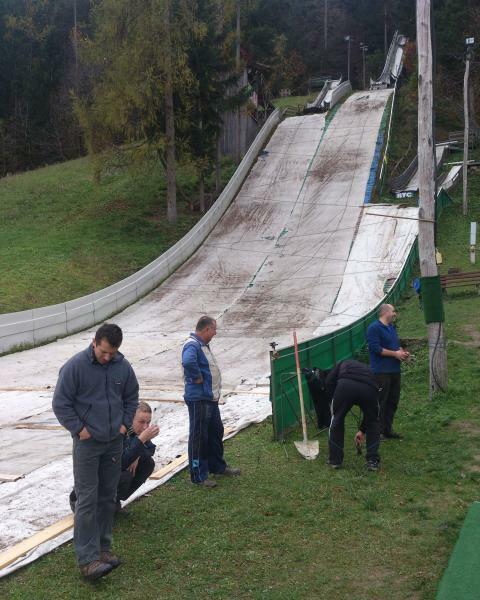 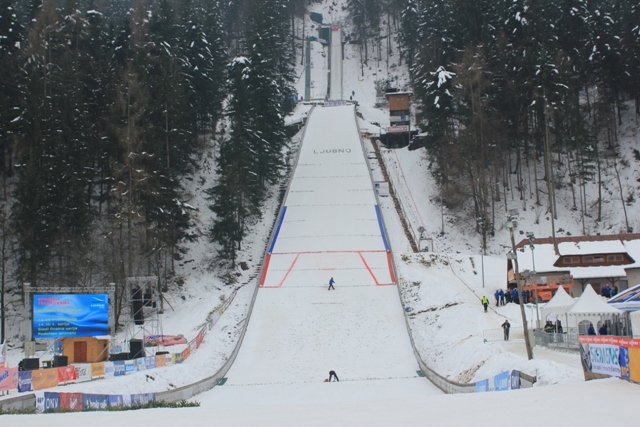 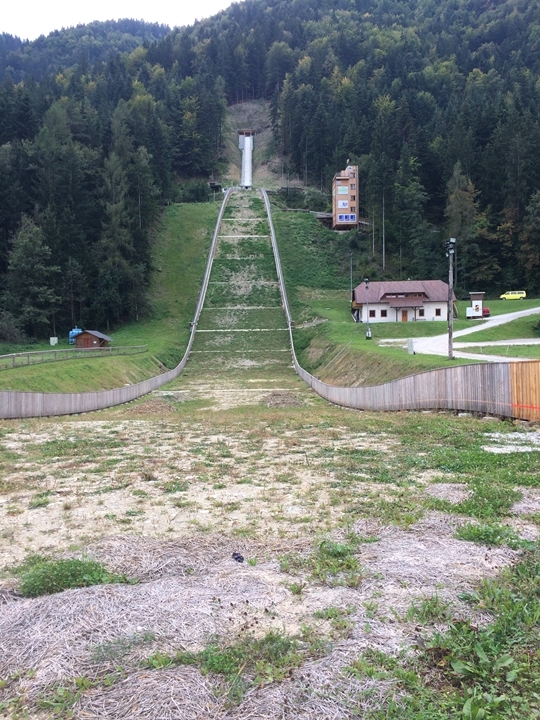 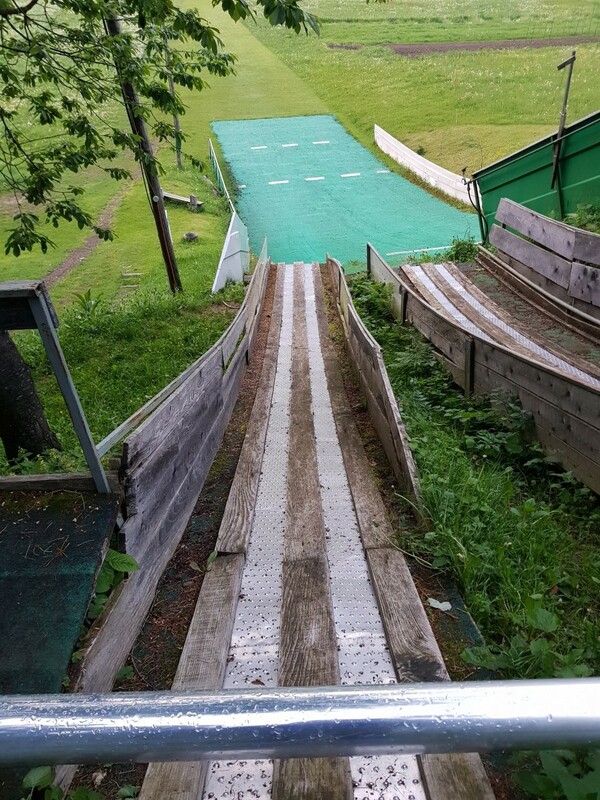 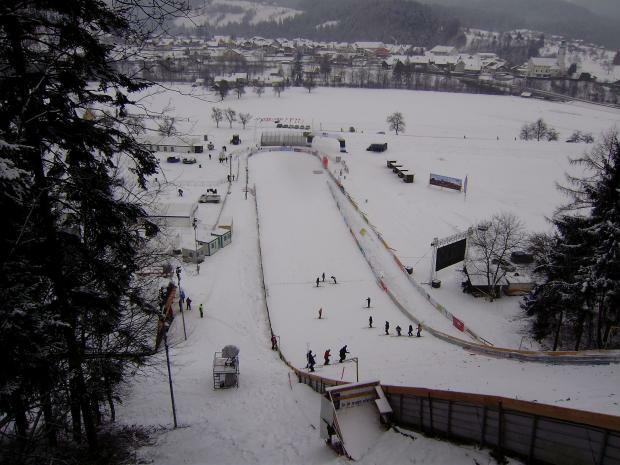 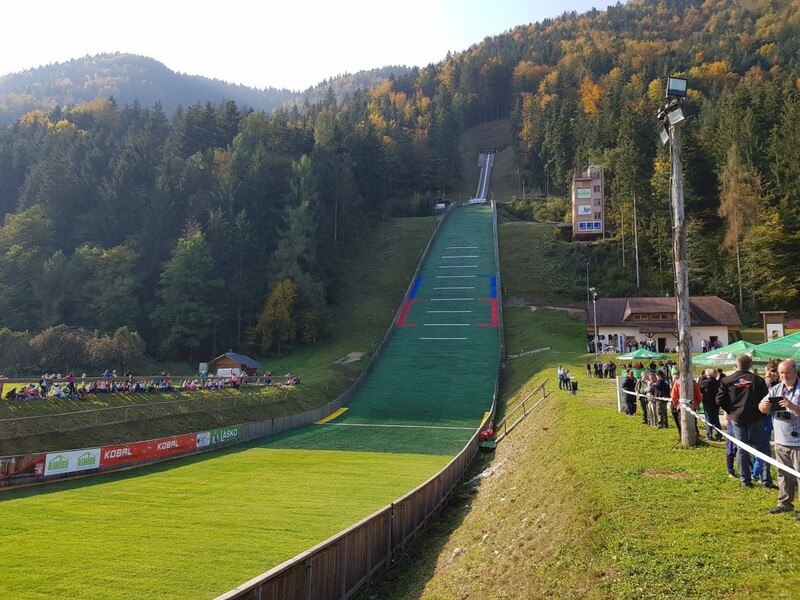 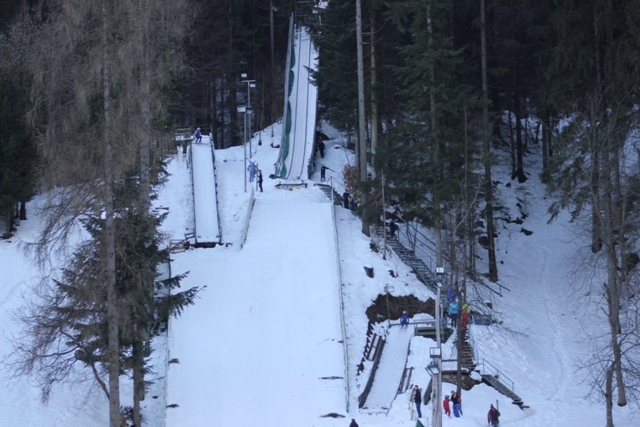 In this time management of the ski club decided to build a new K18 hill, construct a judge’s tower for K65, change the profile of the K65 jump, repair the K35 meter hill, support and training young ski jumpers professionally and let jumpers from Ljubno start at other competitions. 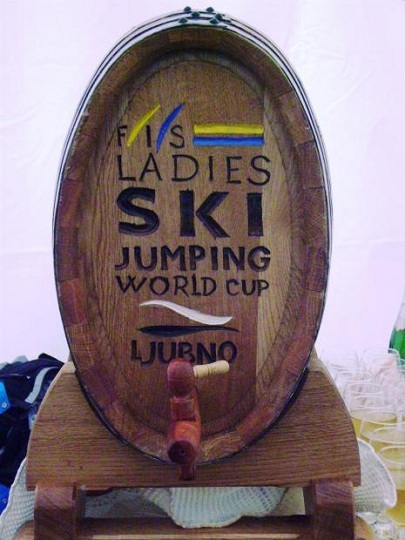 In 1974 all these constructive measures were completed and jumpers from Ljubno took part in competitions in Velenje. 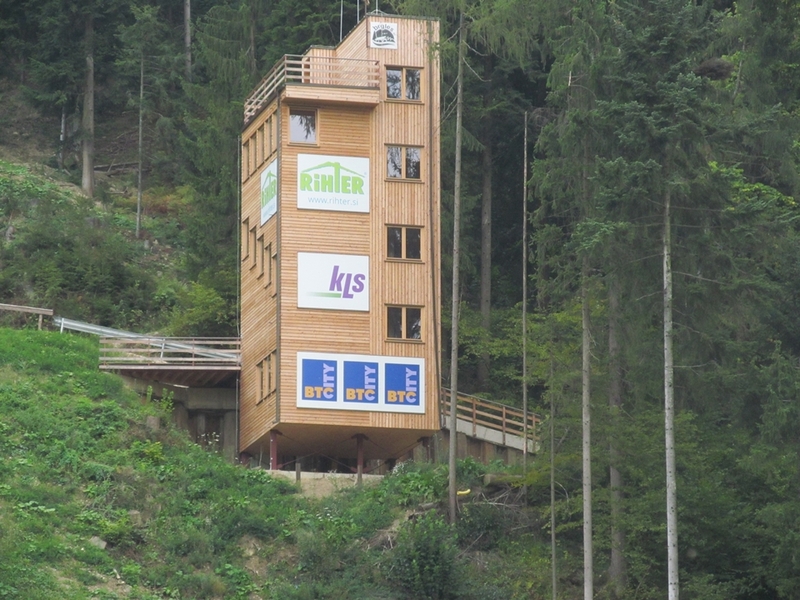 Then in 1975 the new judge’s tower on K35 was built. 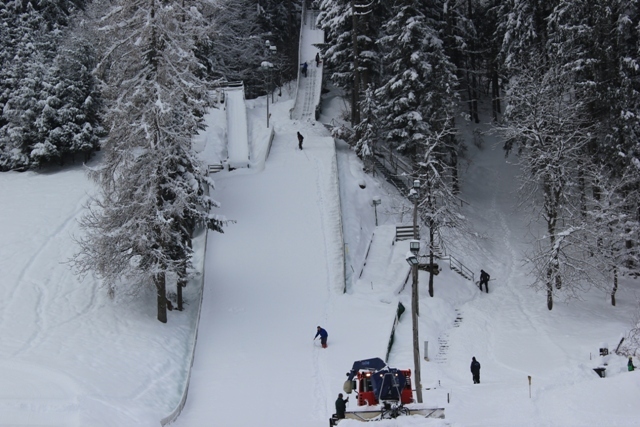 Already in 1978 in Ljubno plans to enlarge the K65 into a K80 were made. 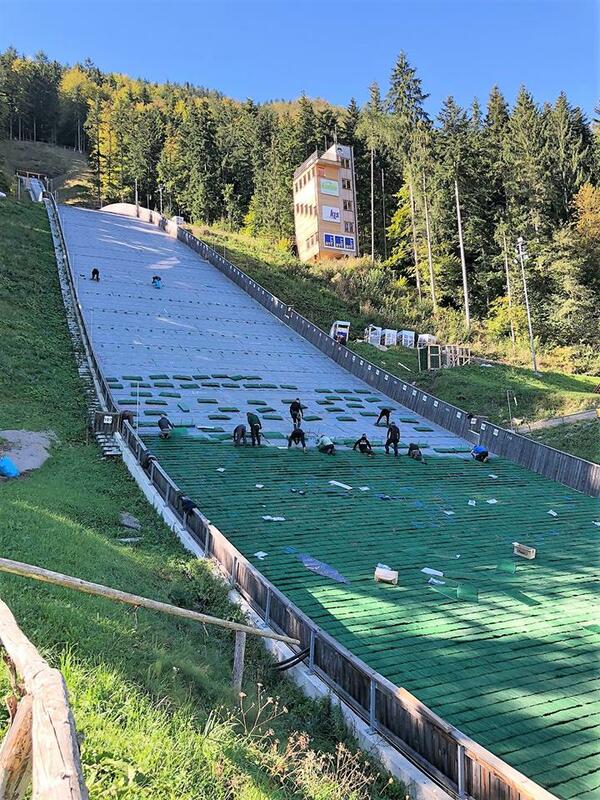 In 1983 K18 was converted into K20 and covered with plastic mattings. 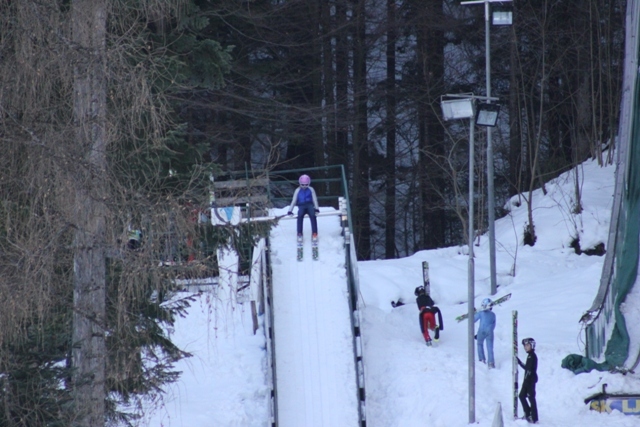 Beside K20 a mini jumping hill K8 for children was built in 1985. 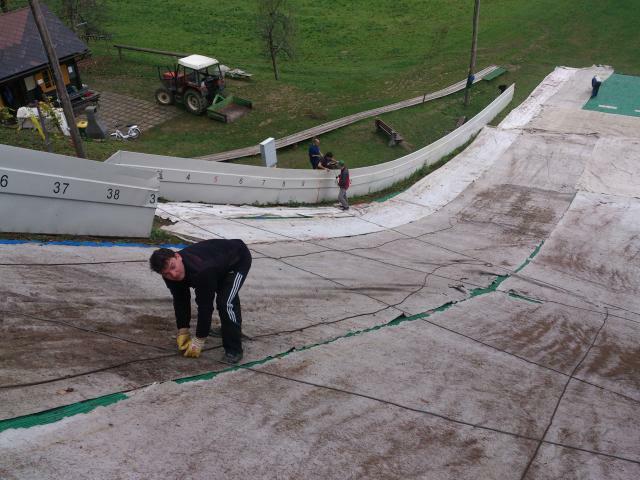 At the end of the season 1988/1989 also the K45 jump was prepared for a covering with plastic mattings. 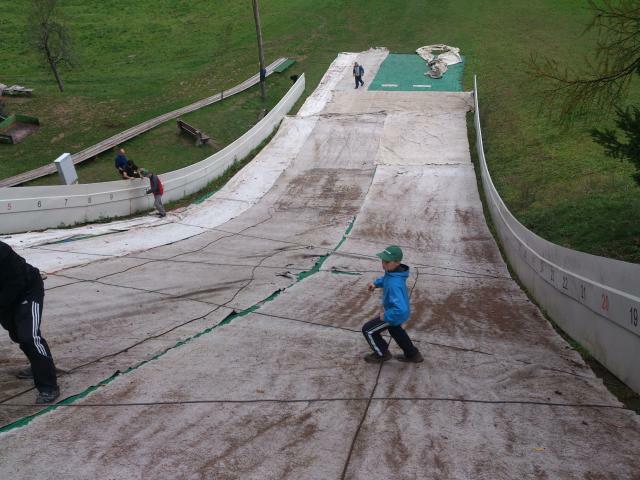 In 1990 a jumpers-house at the plastic hills was built. 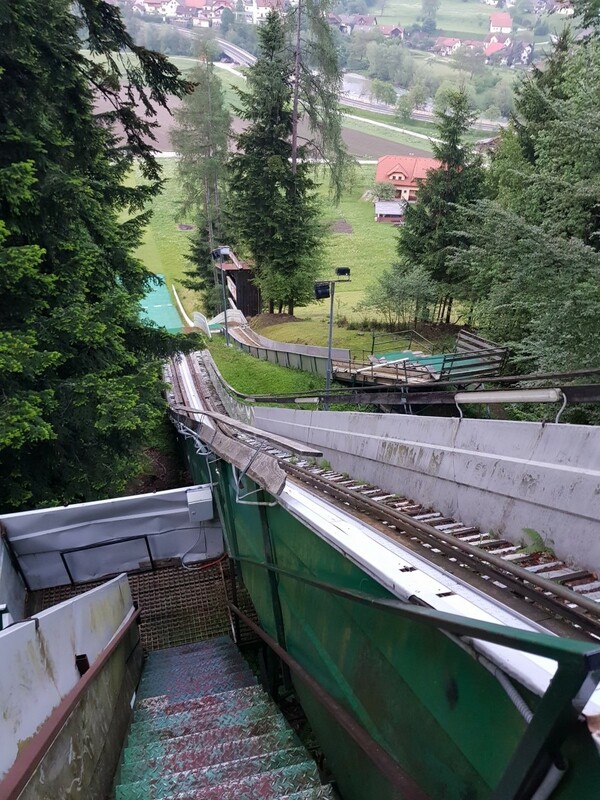 At the end of the 90’s K65 was enlarged to K85 and 2000-2001 the plastic covered hills were reconstructed as K40, K20, K10. 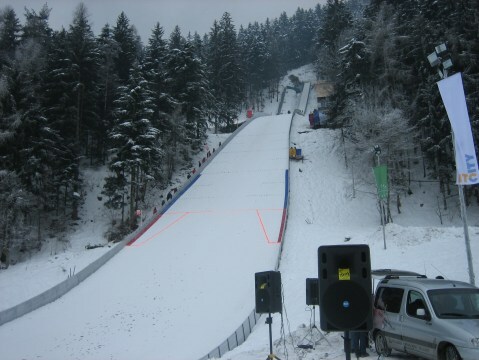 Due to security reasons K40 had to be modified in 2004 and one year later the large jump was modernized. 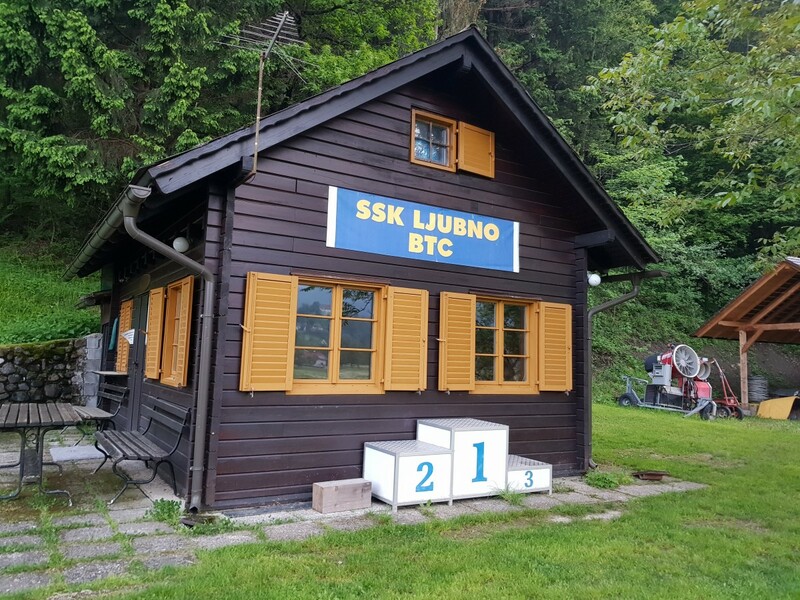 Since 2006 Lagarska Dolina-HS 95 has been annual host of Ladies Continental Cup competitions, and since 2012 also part of World Cup. 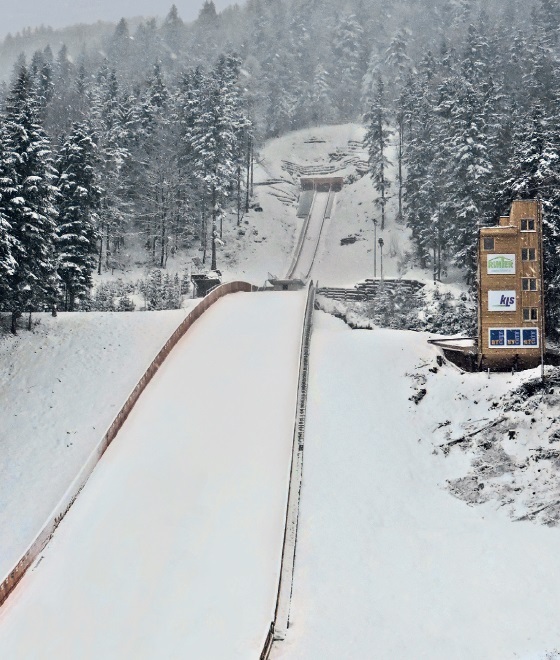 In order to keep the World Cup status the ski jump, whose FIS certificate expired in 2015, was modernized in 2015 according to plans of Janez Gorišek and aditionally a new judges tower and lift were build. 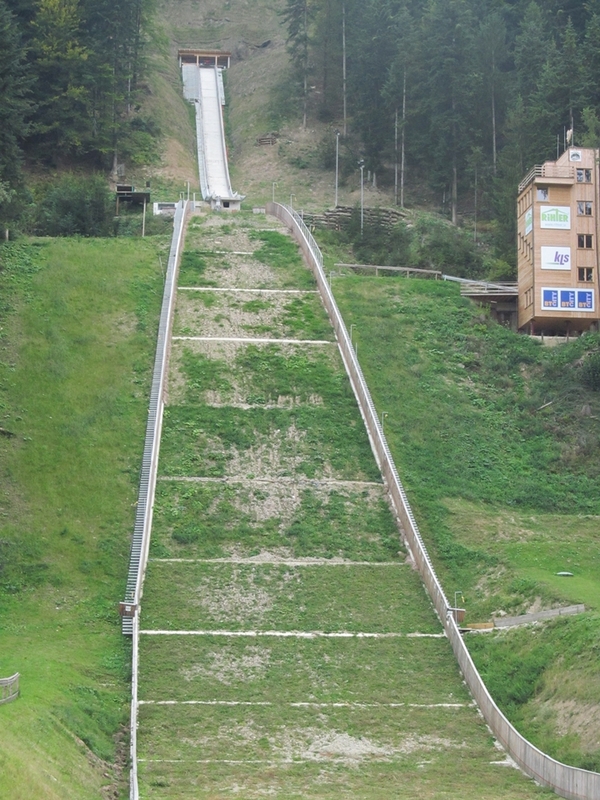 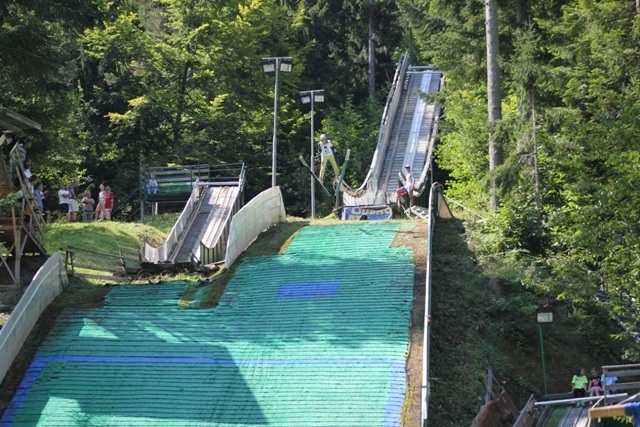 Initial plans to enlarge the hill to allow jumps of more than 105 meters were discarted due to financial reasons. 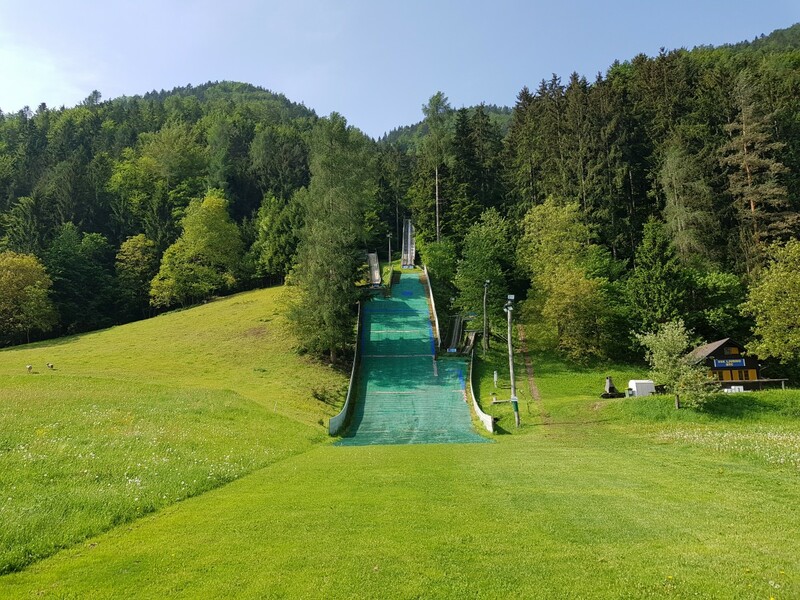 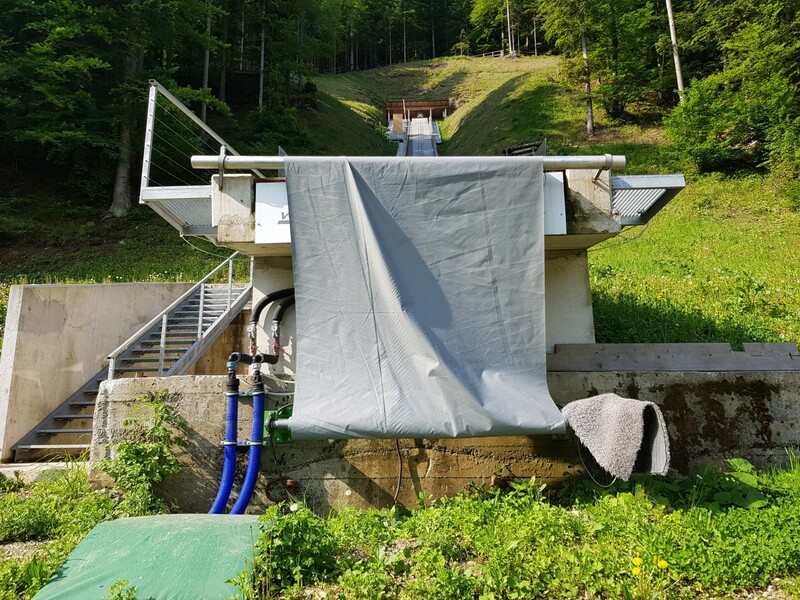 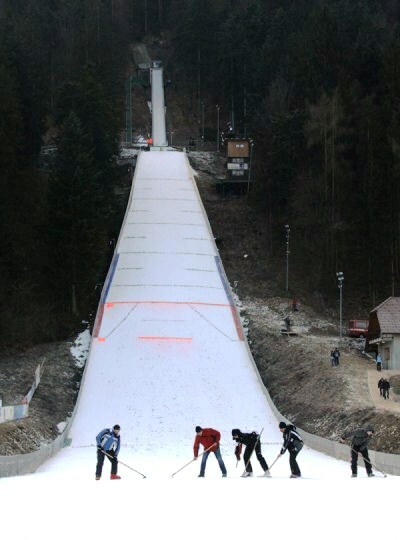 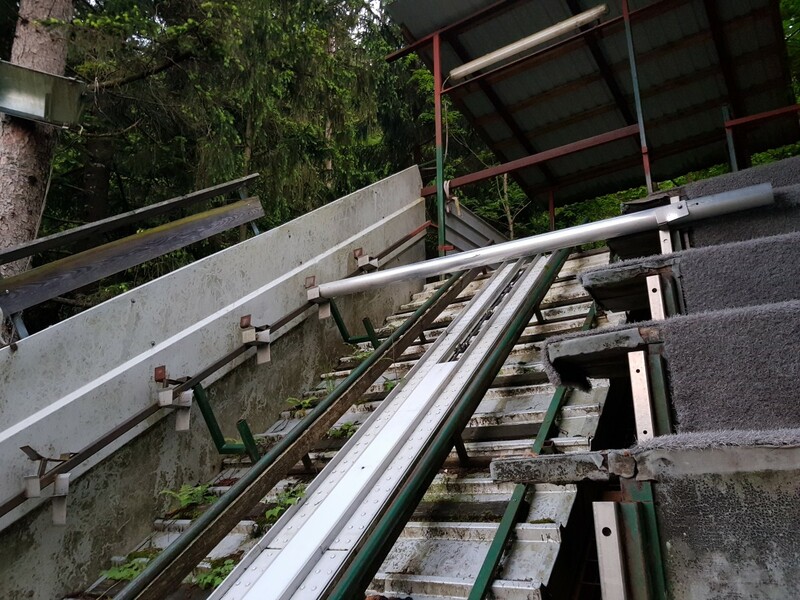 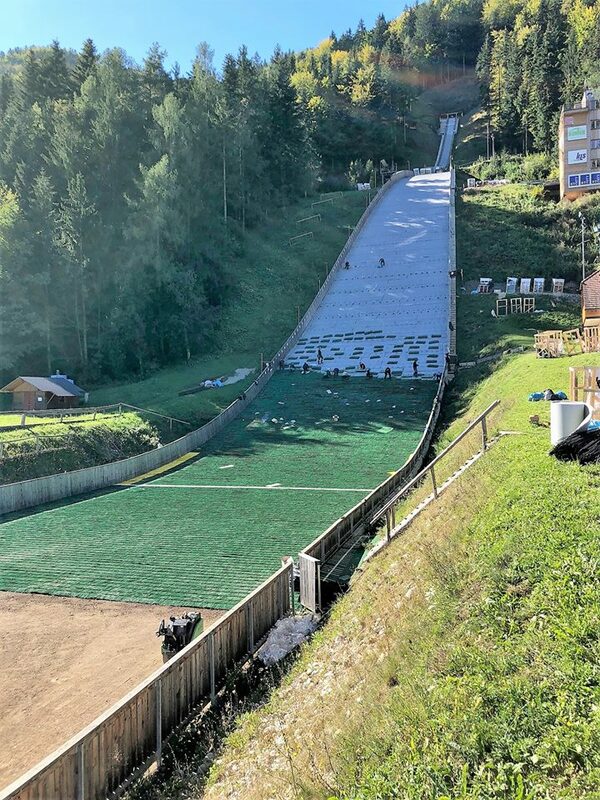 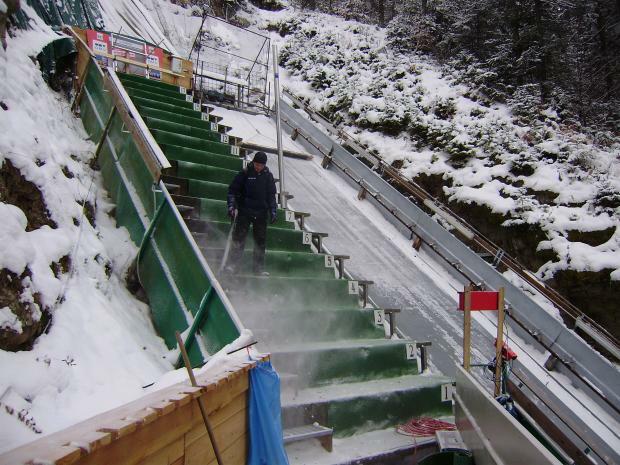 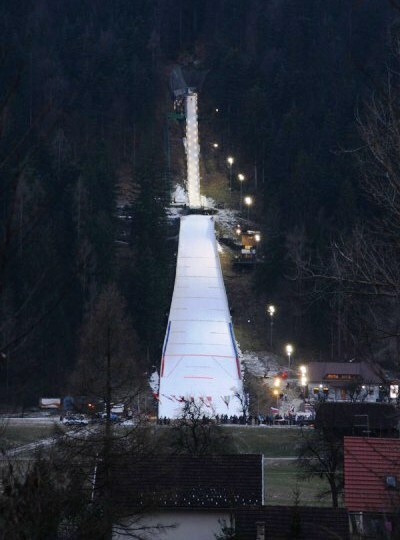 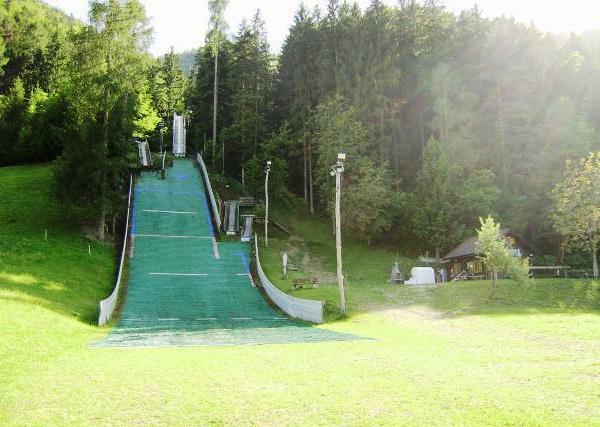 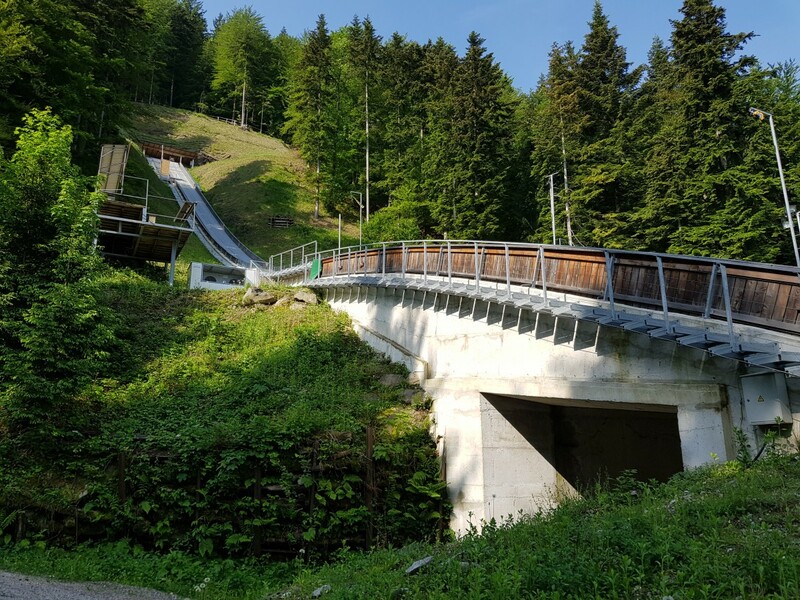 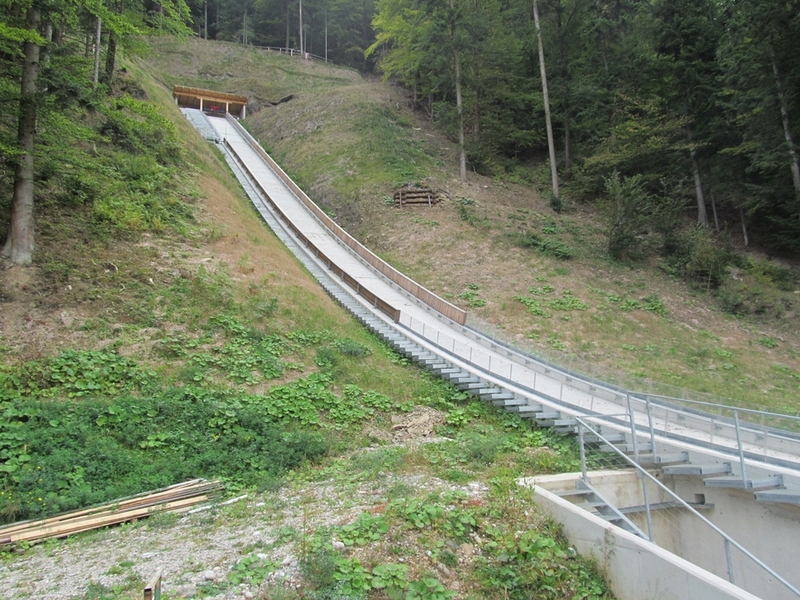 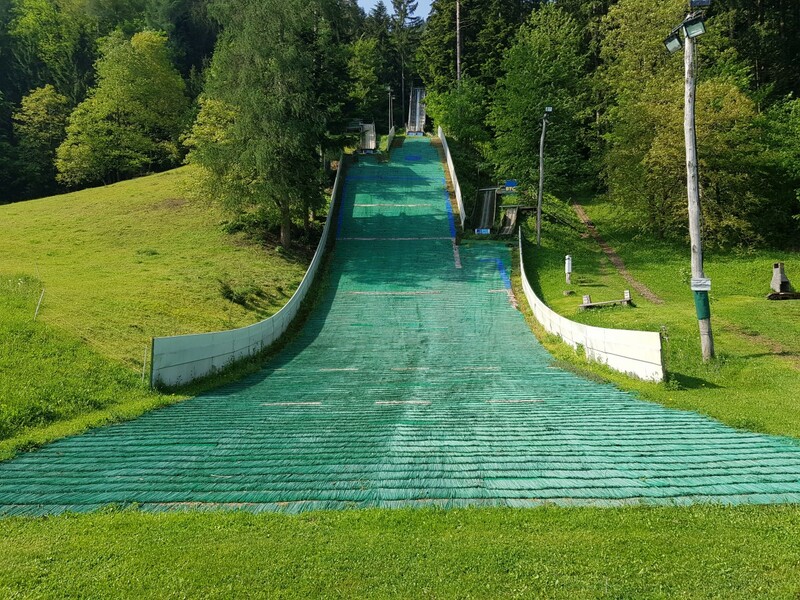 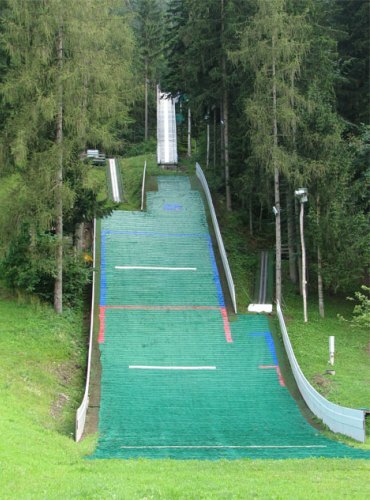 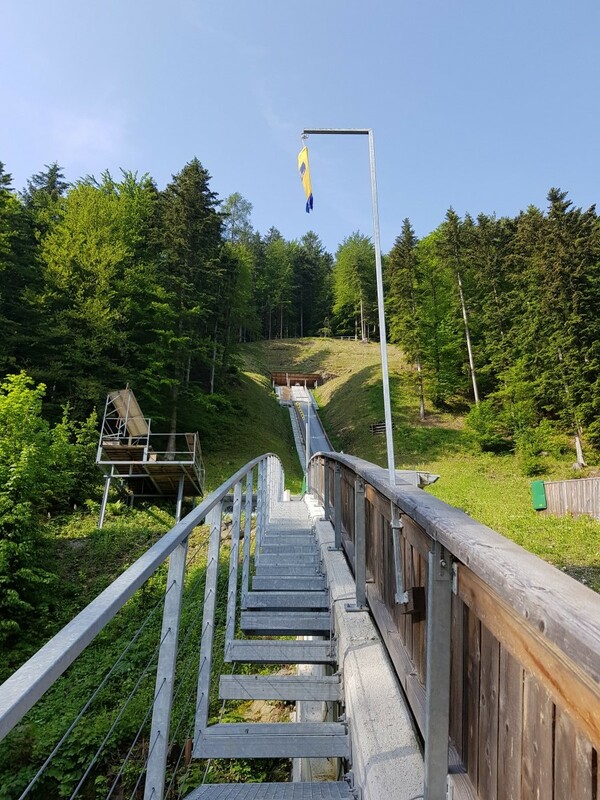 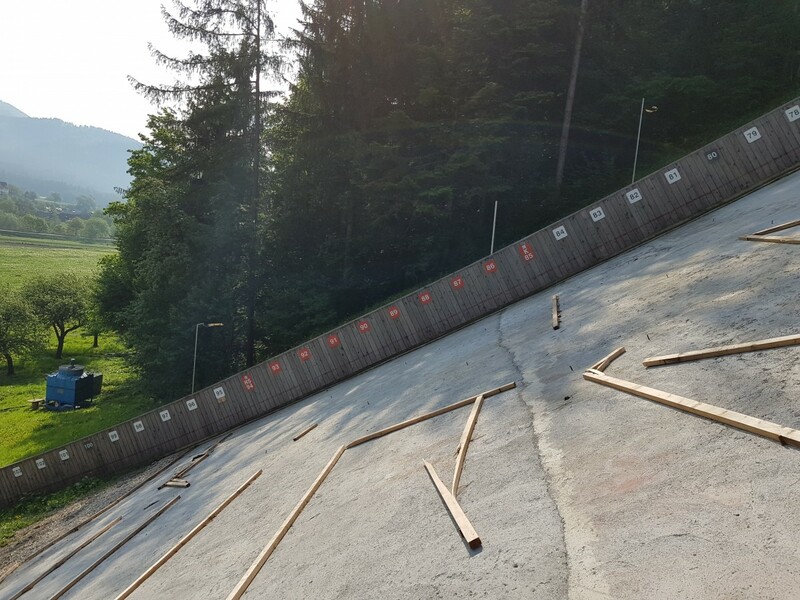 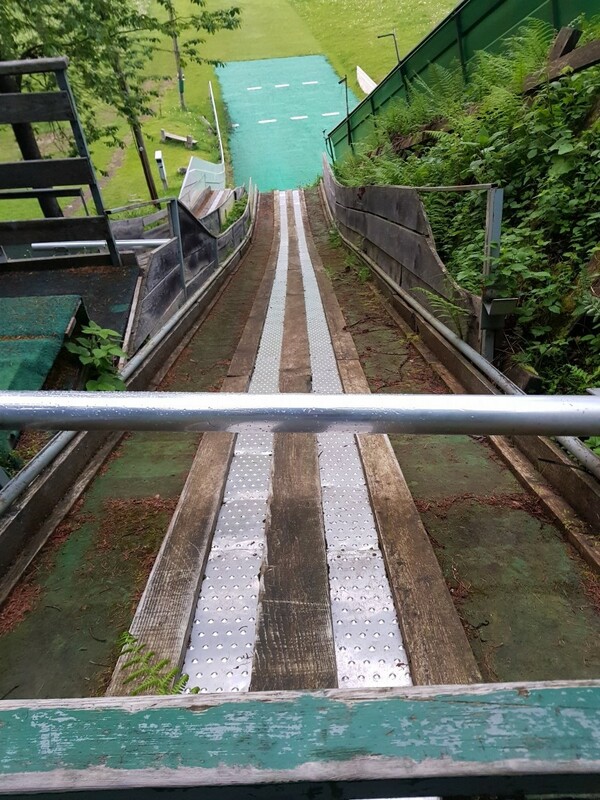 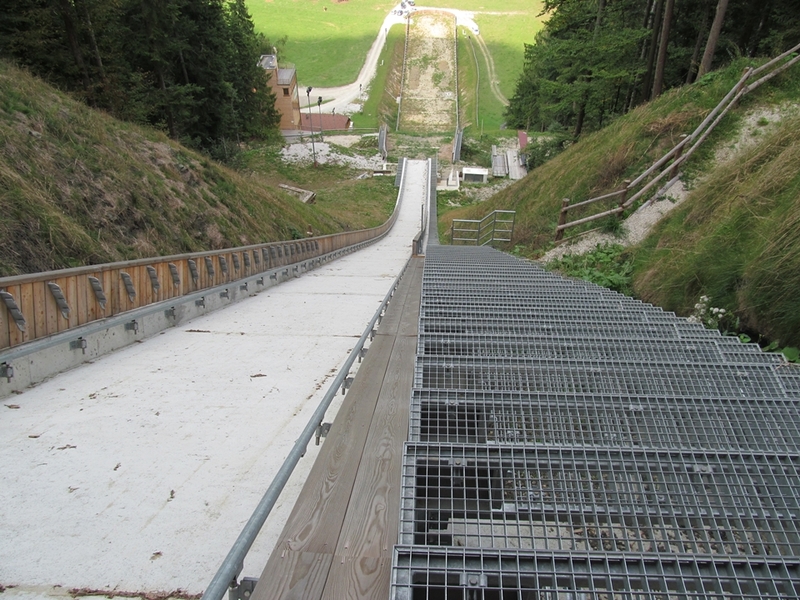 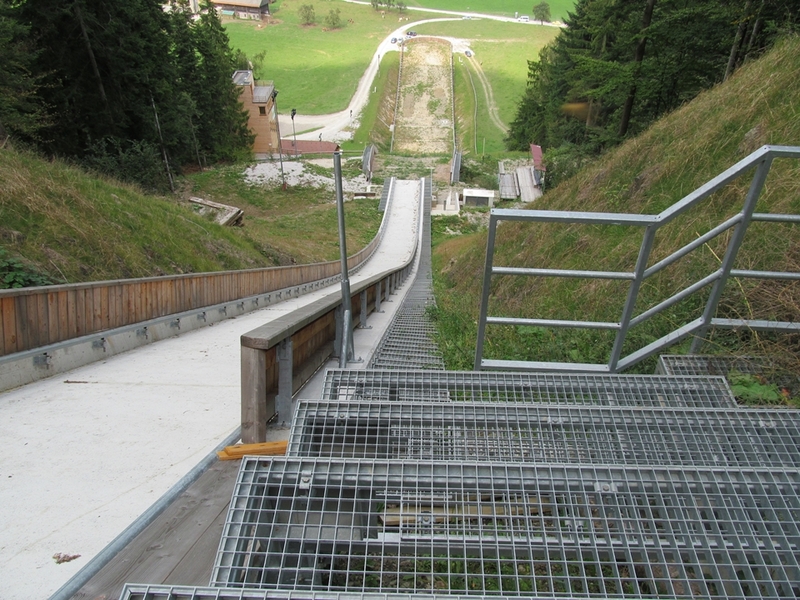 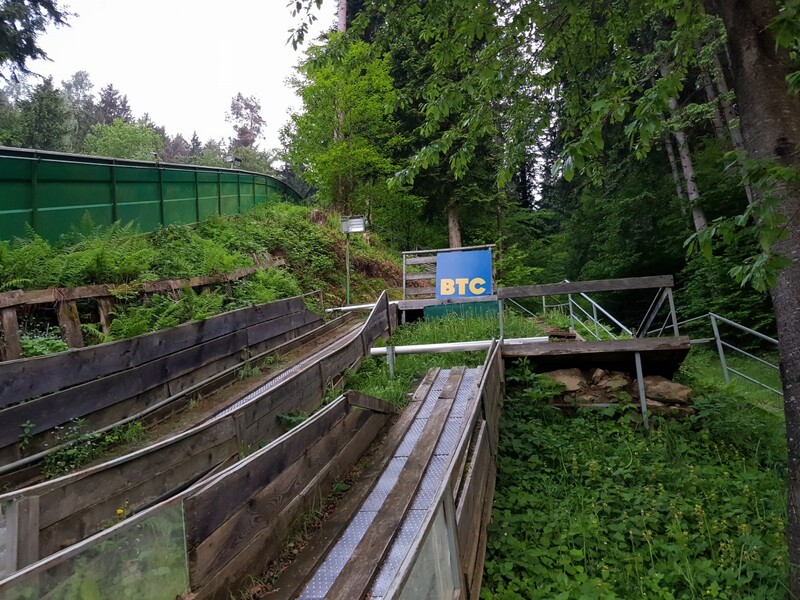 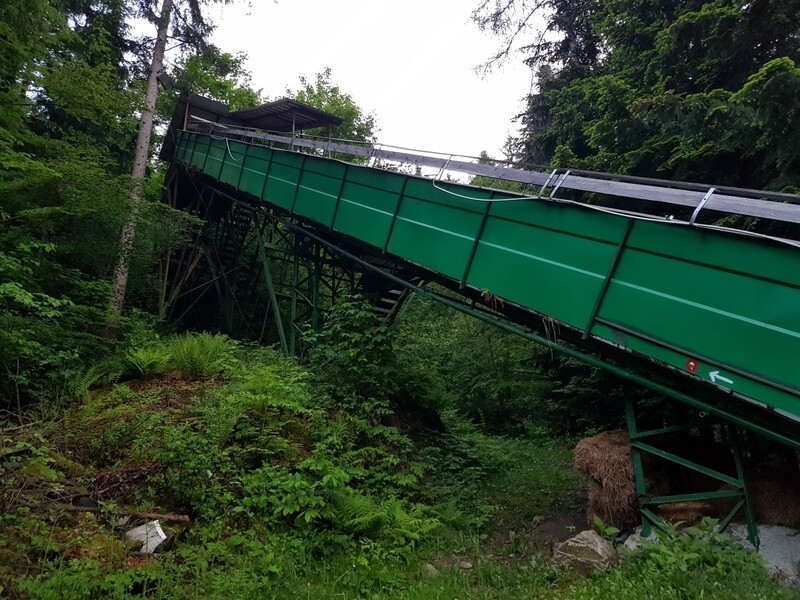 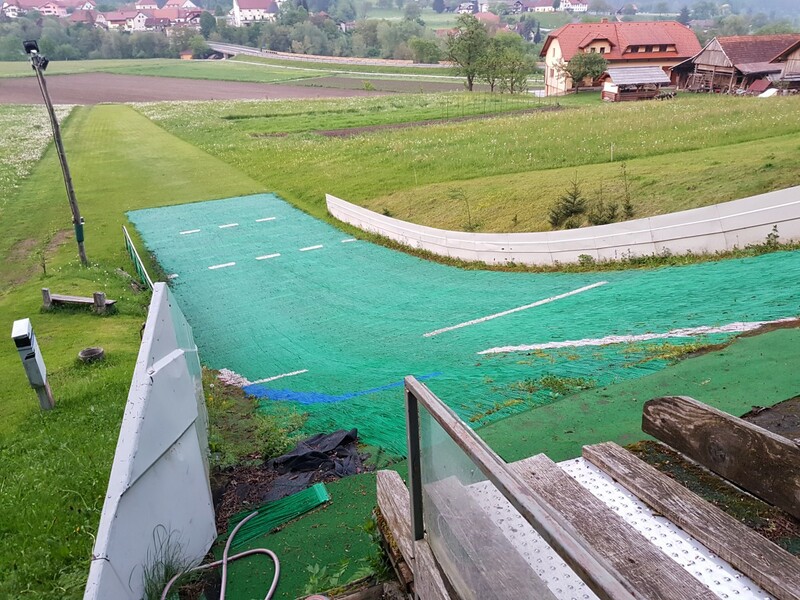 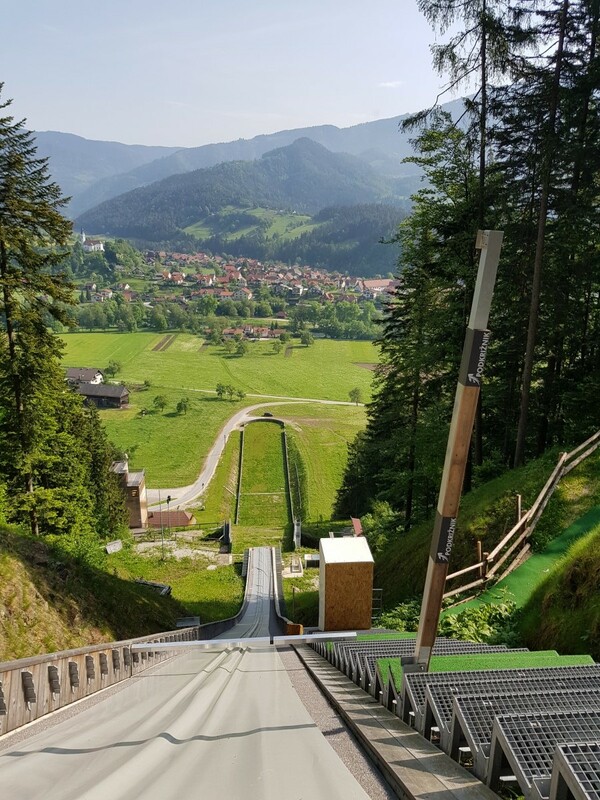 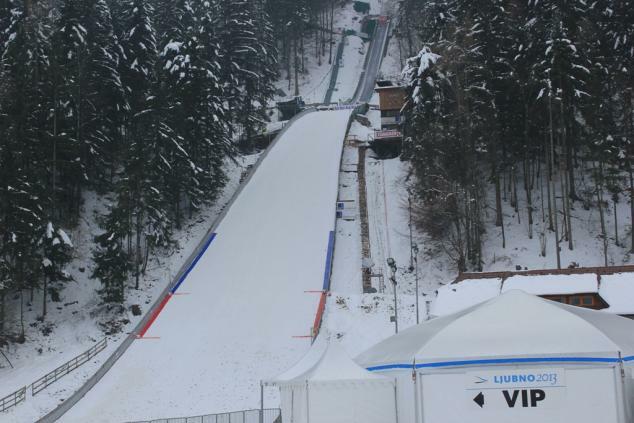 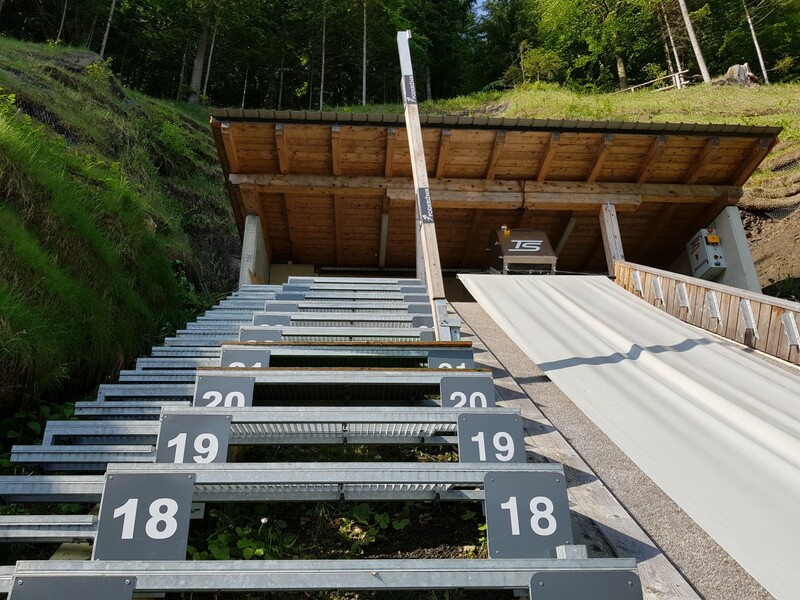 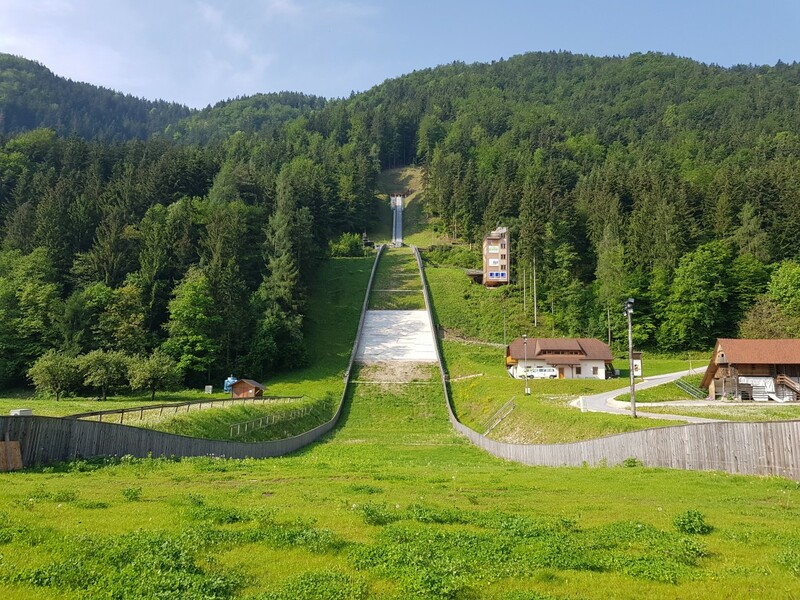 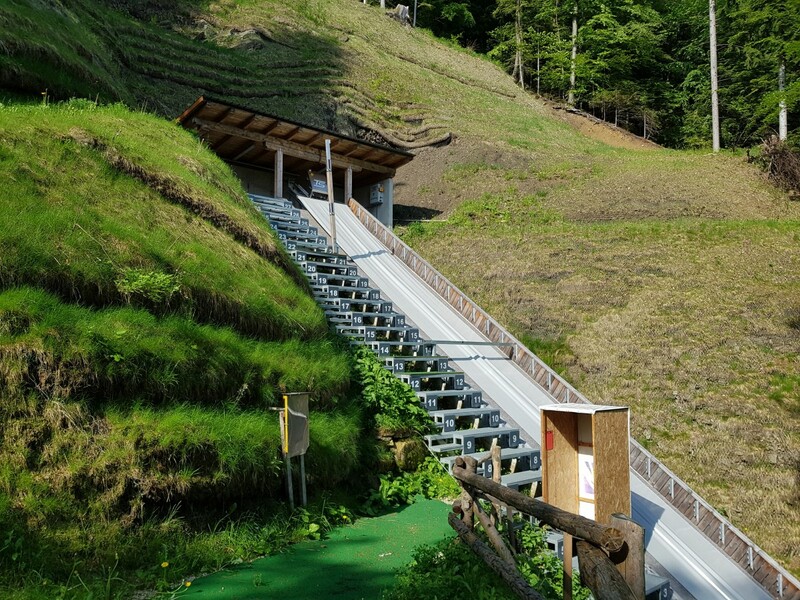 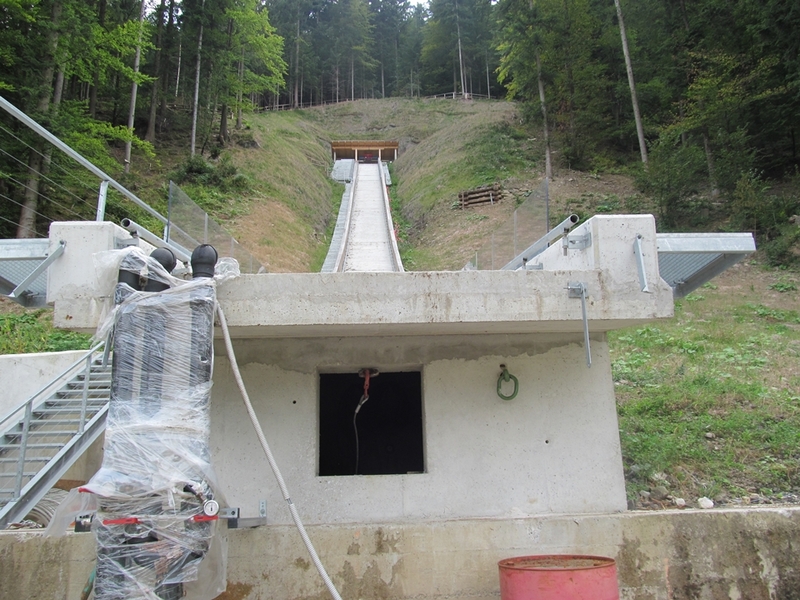 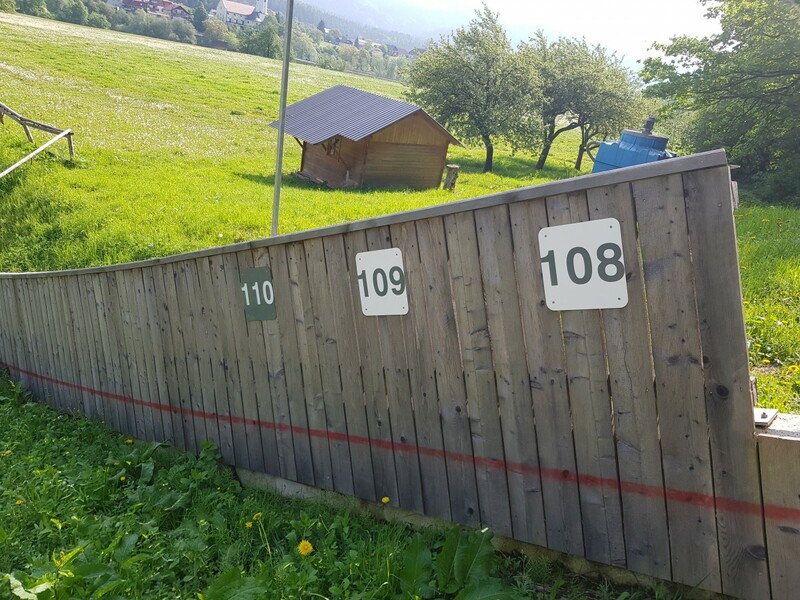 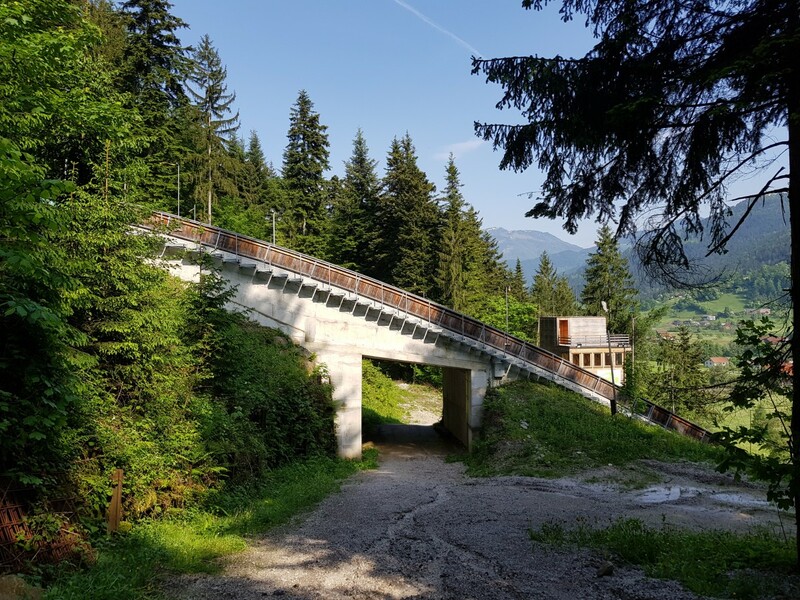 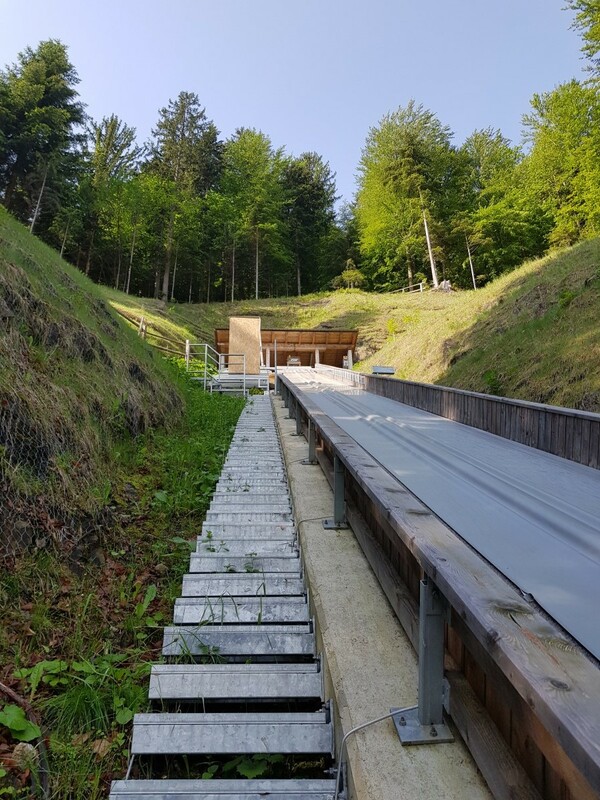 Furthermore, plastic covering is planned for a total of 1.5 to 2 million Euros, in order to established a year-round ski jumping center together with exisiting junior matting hills K40, K20, K10, K5. 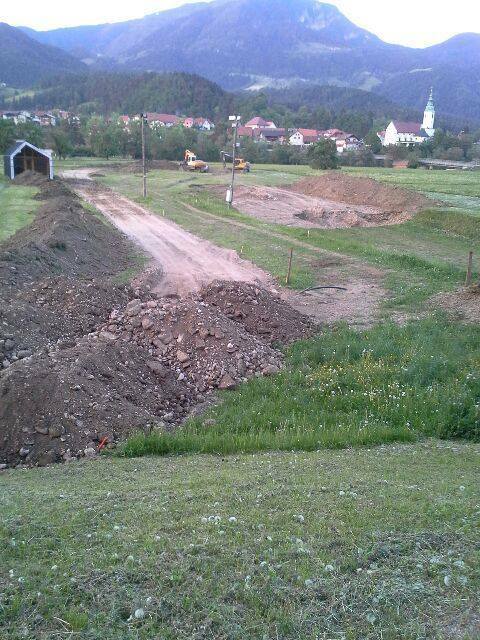 Works have started in May 2015. 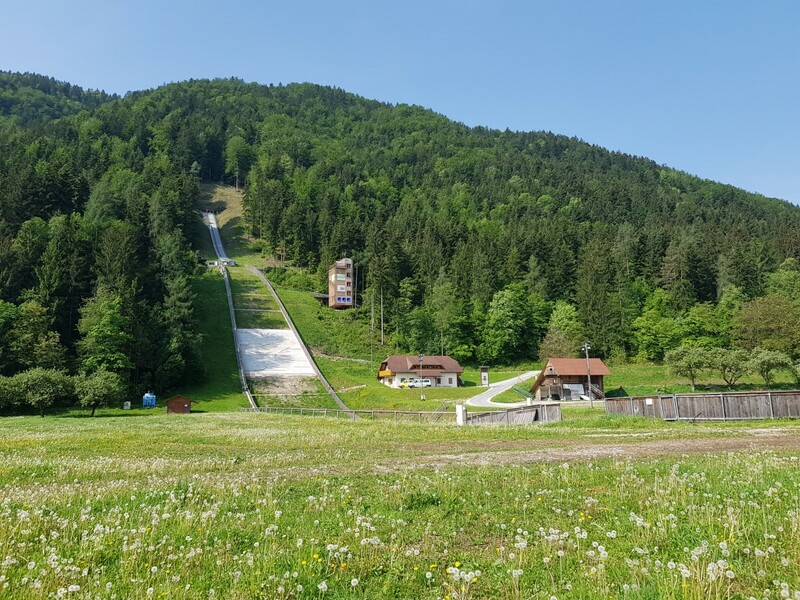 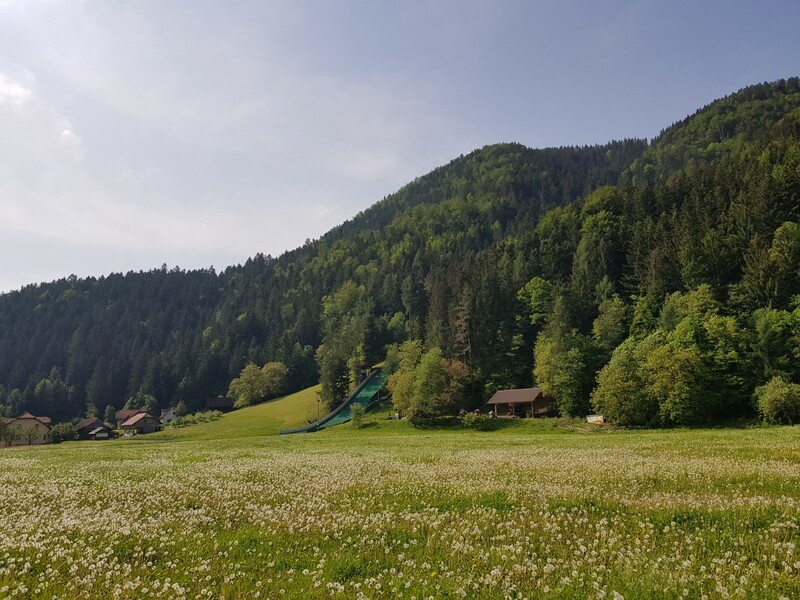 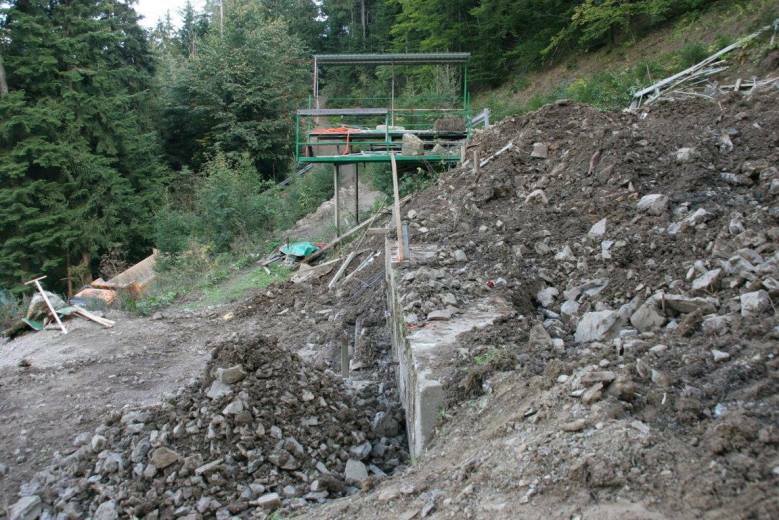 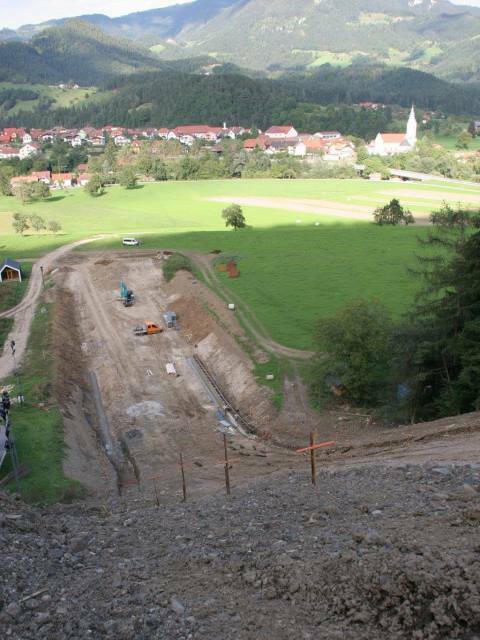 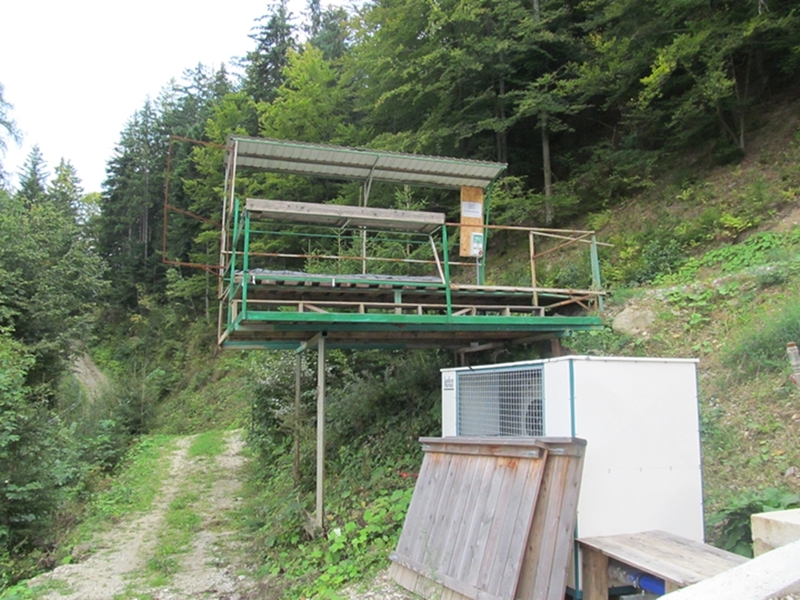 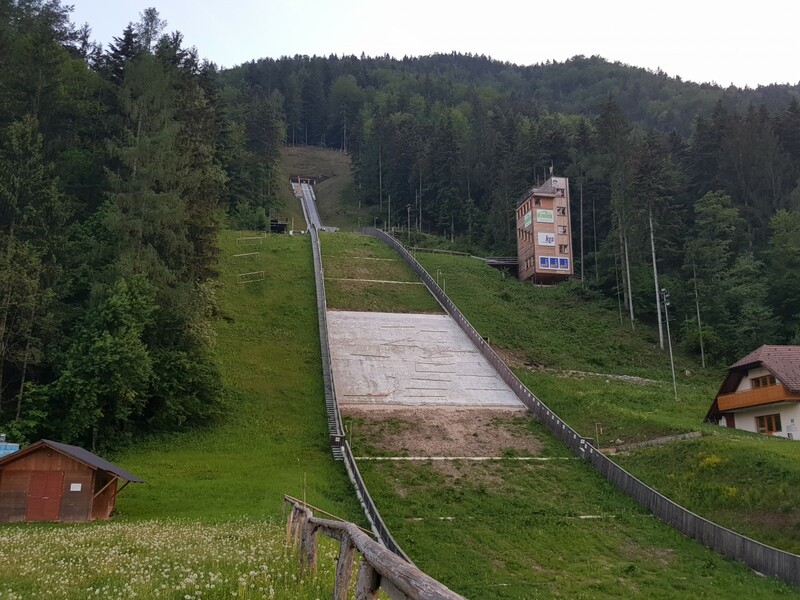 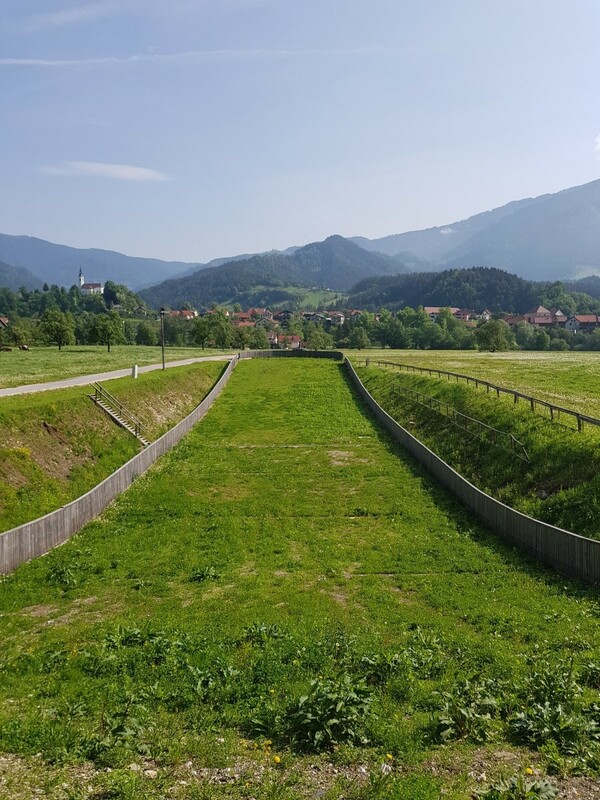 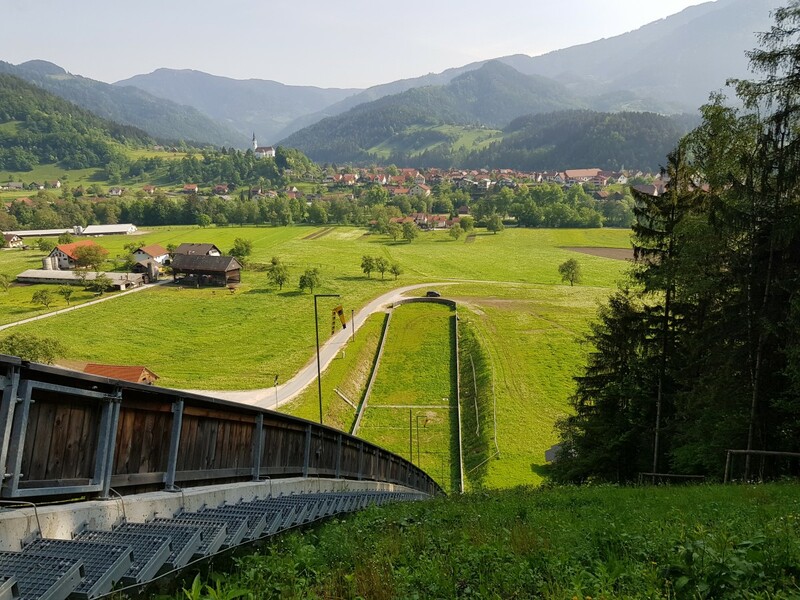 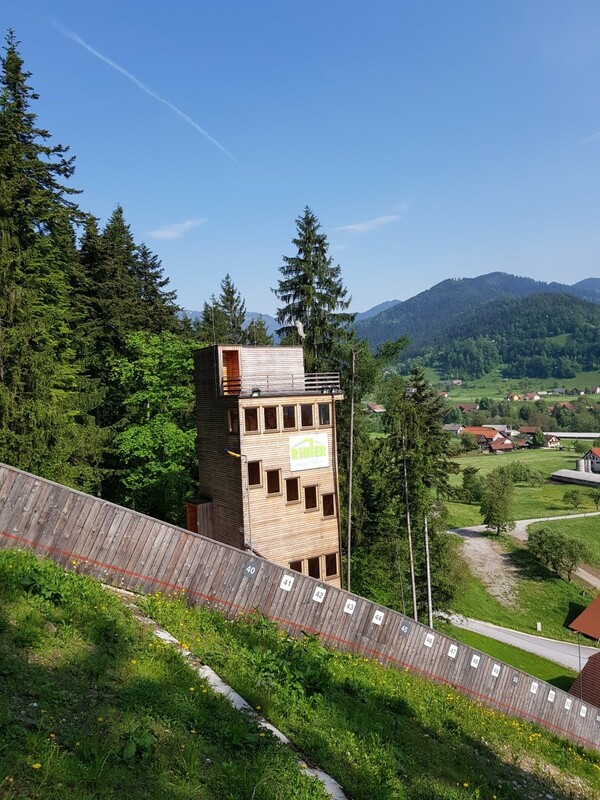 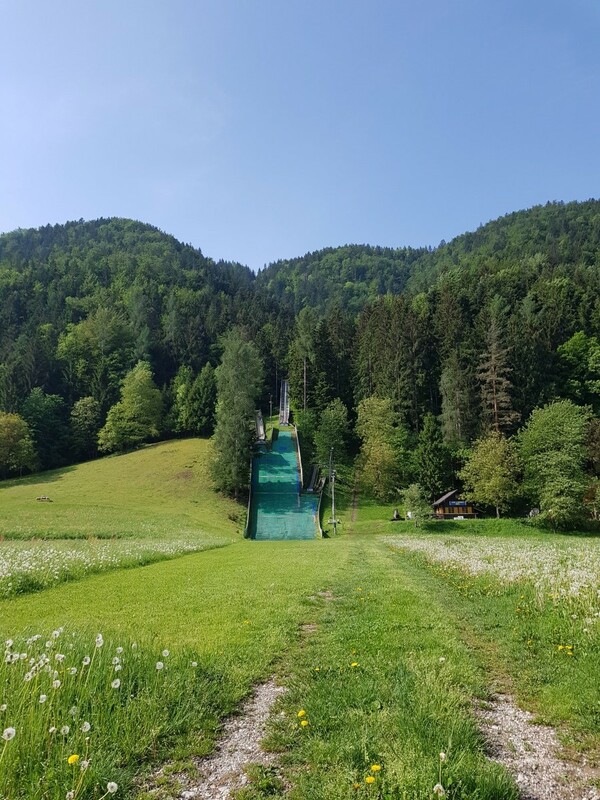 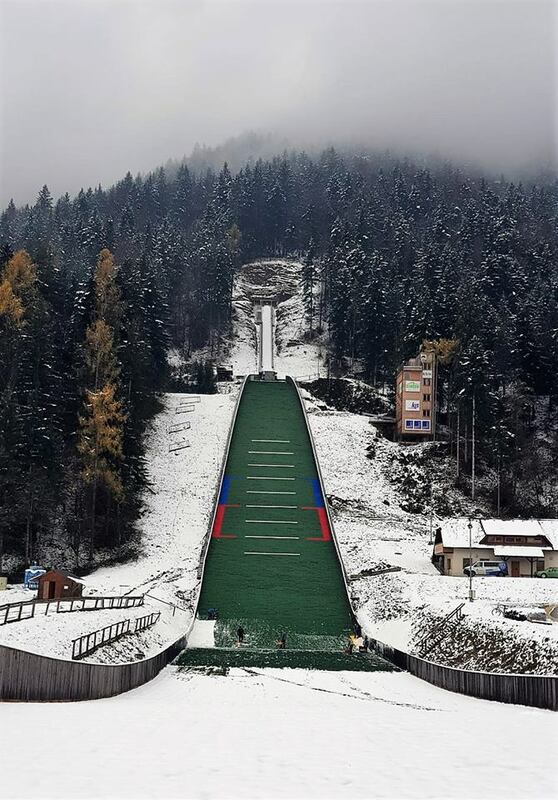 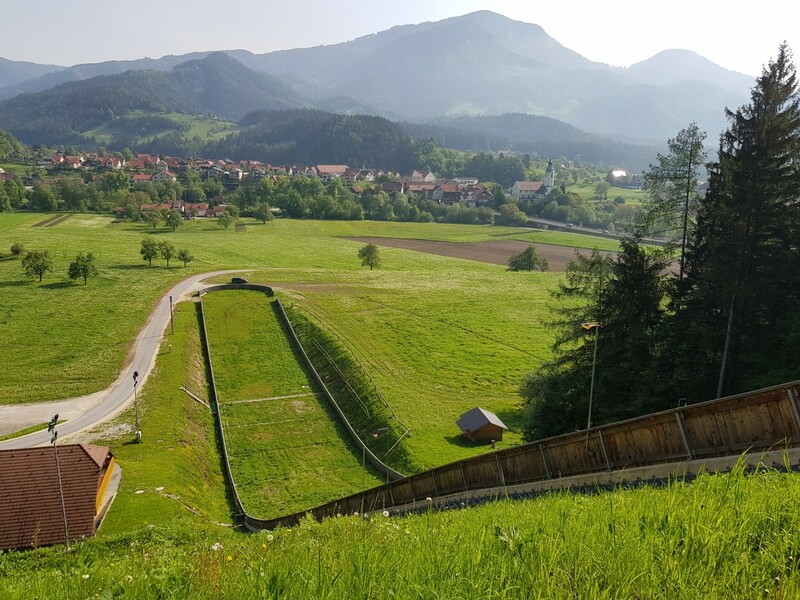 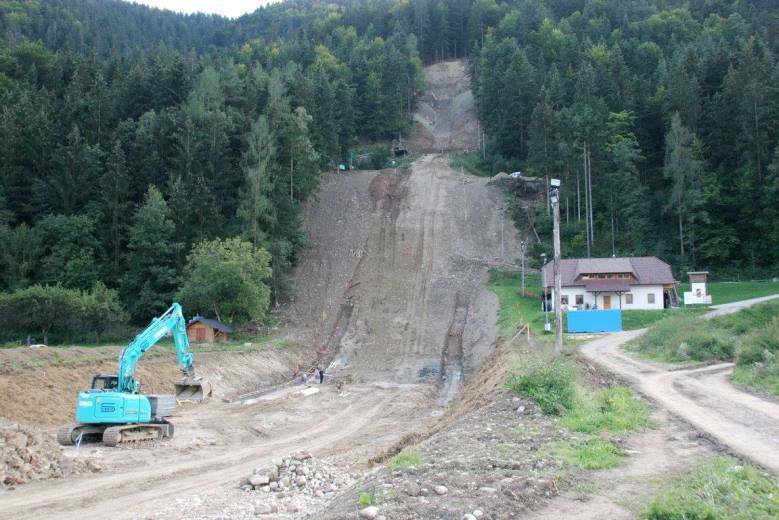 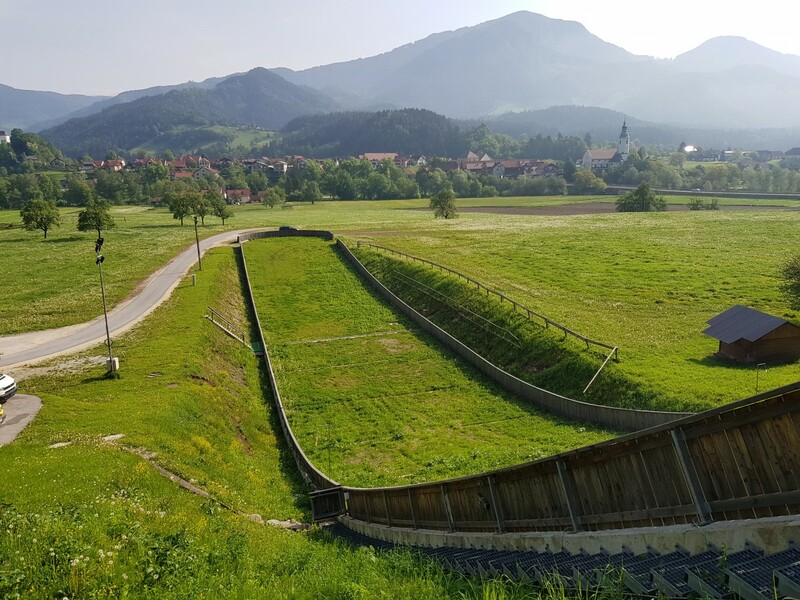 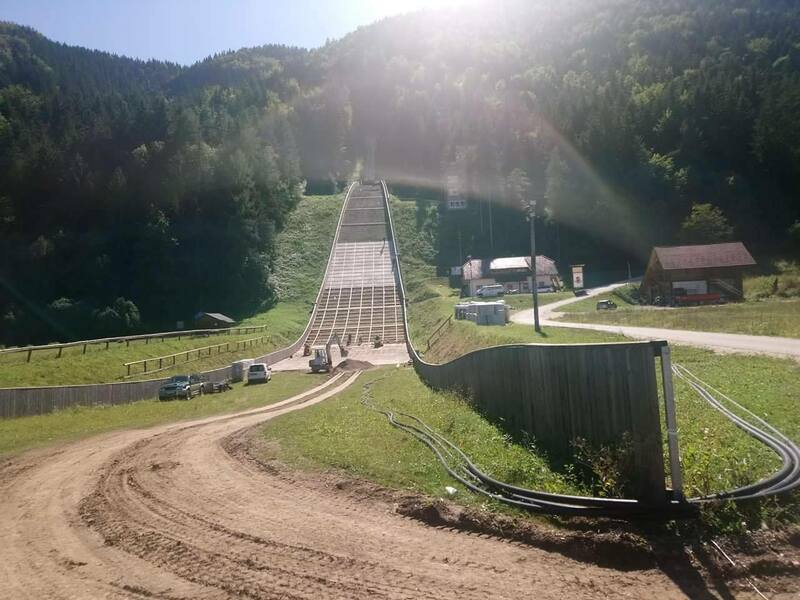 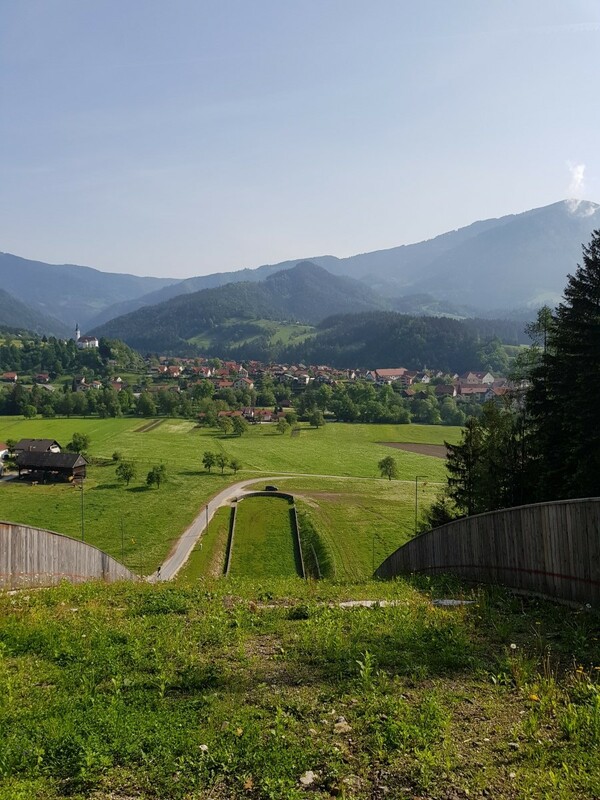 Normally, Ljubno ob Savinji (Slovenia) is a quiet and restful place, but not so in the past months: the old Logarska Dolina normal hill was demolished and served a spot for a completely new ski jump. 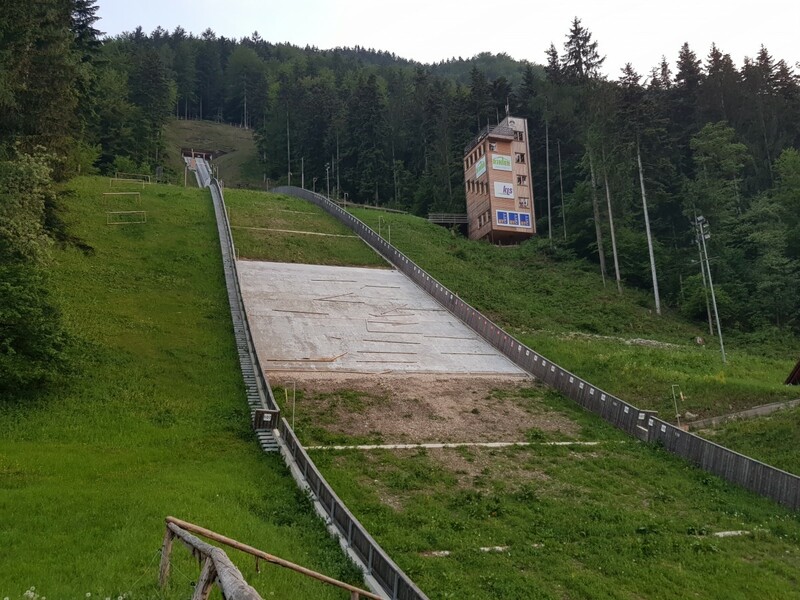 This new facility was finished recently and is ready for the upcoming World Cup competitions of the ladies in less than two weeks. 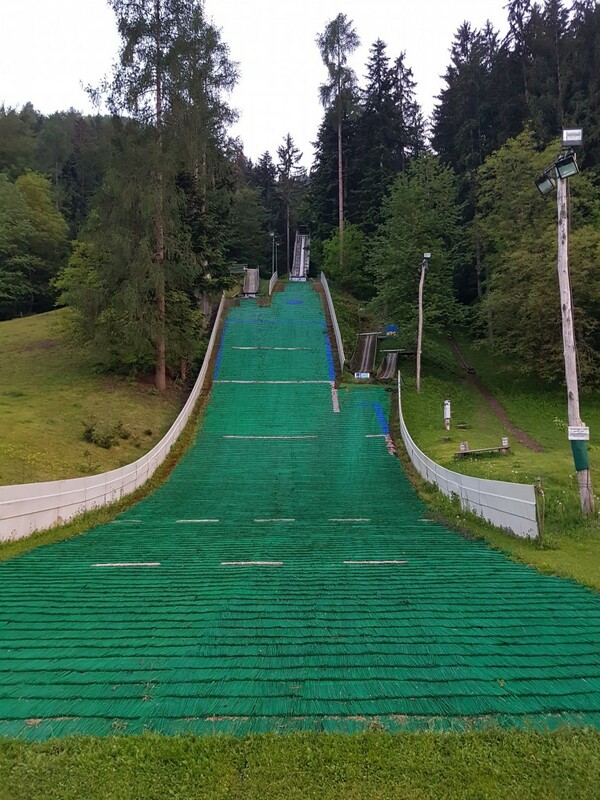 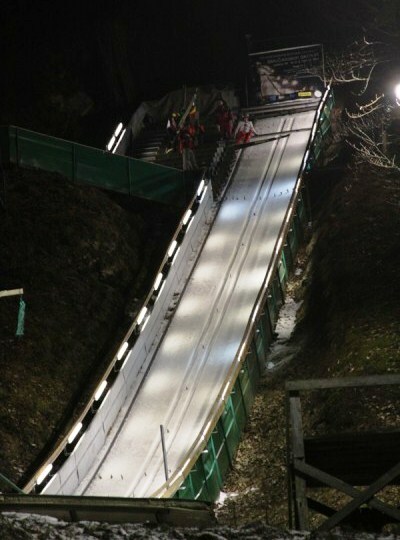 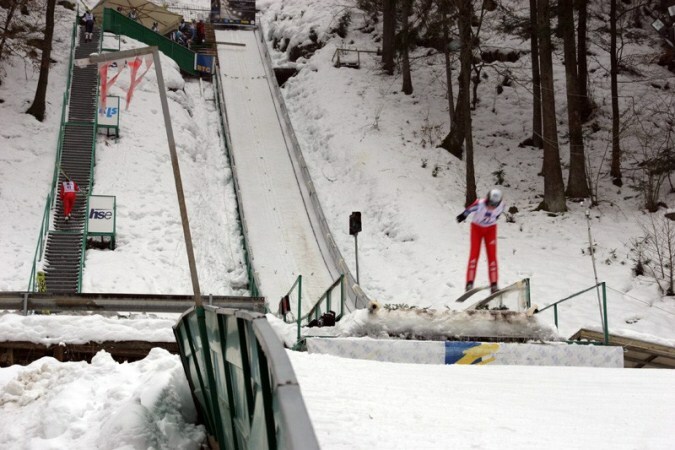 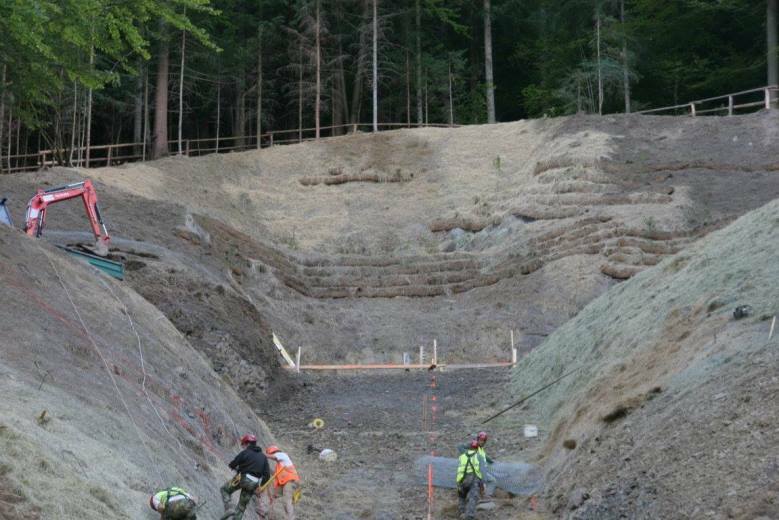 Skijumpinghills.com presents the first information about the new normal hill, which is going to be bigger than the old one. 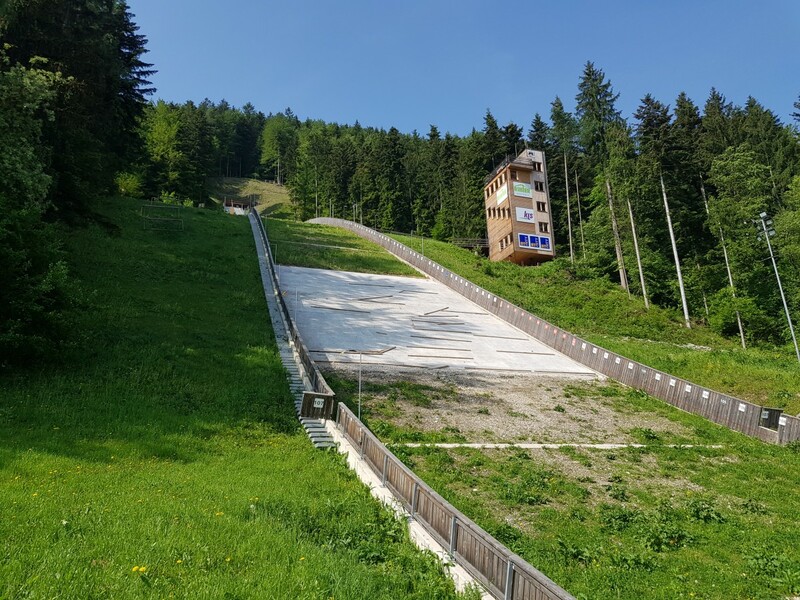 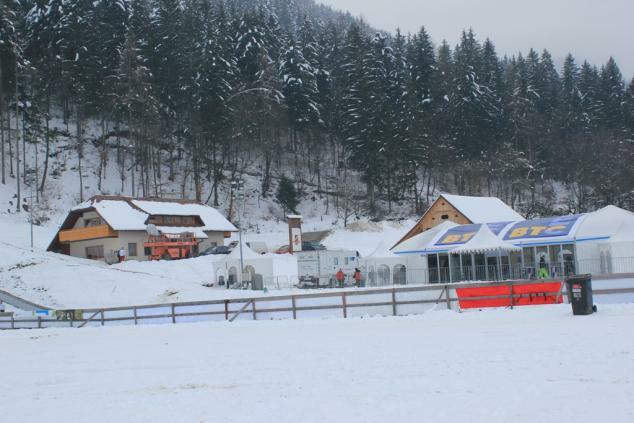 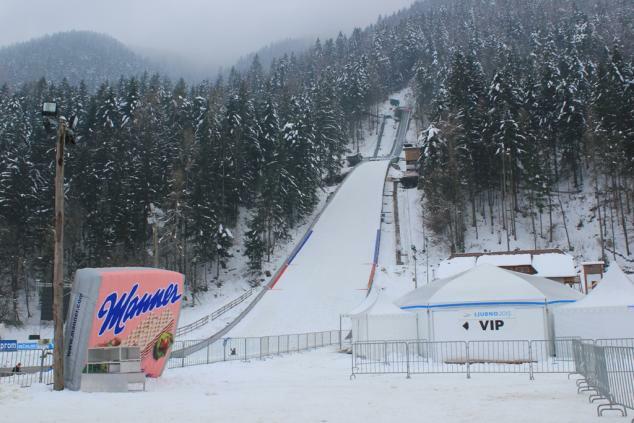 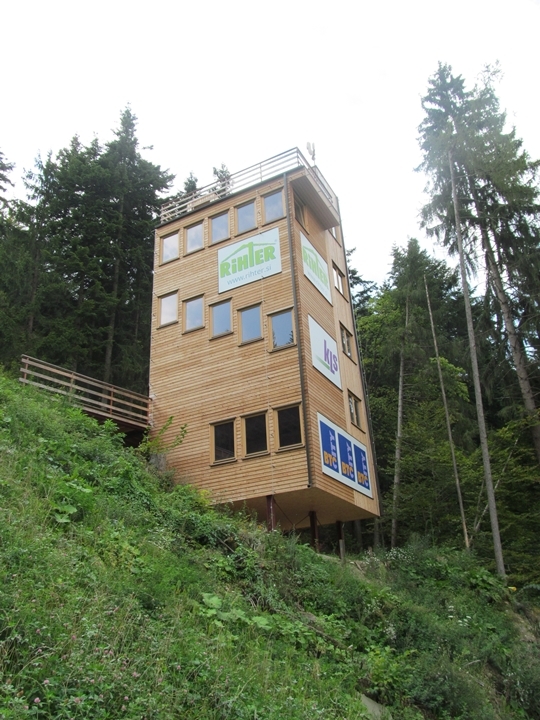 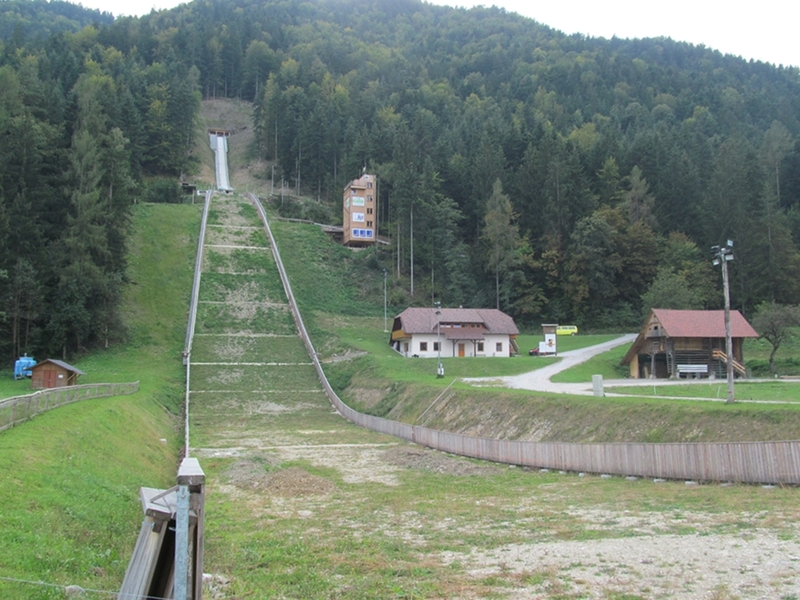 This year's Ladies World Cup at Ljubno had to be moved to Planica due to lack of snow, but there are enlargement plans for Logarska Dolina HS 95! 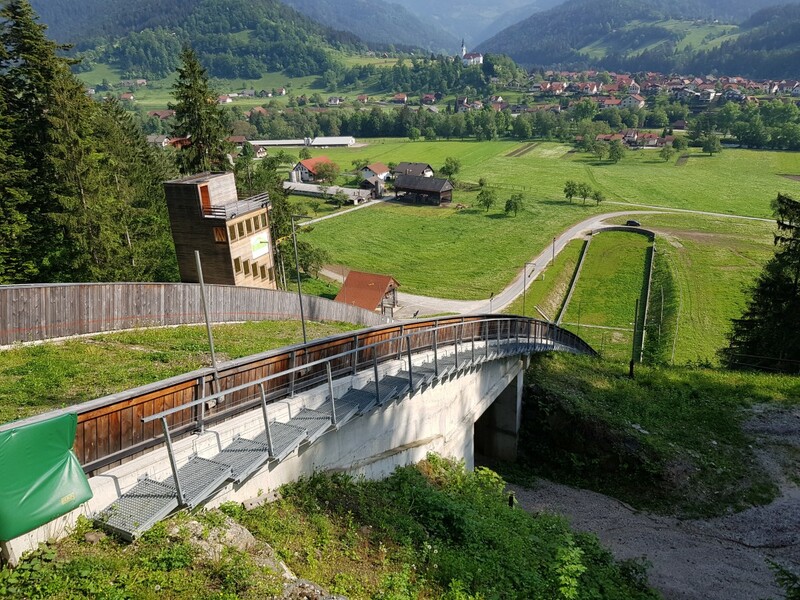 Beim Namen "Logarska Dalina" handelt es sich um einen Schreibfehler. 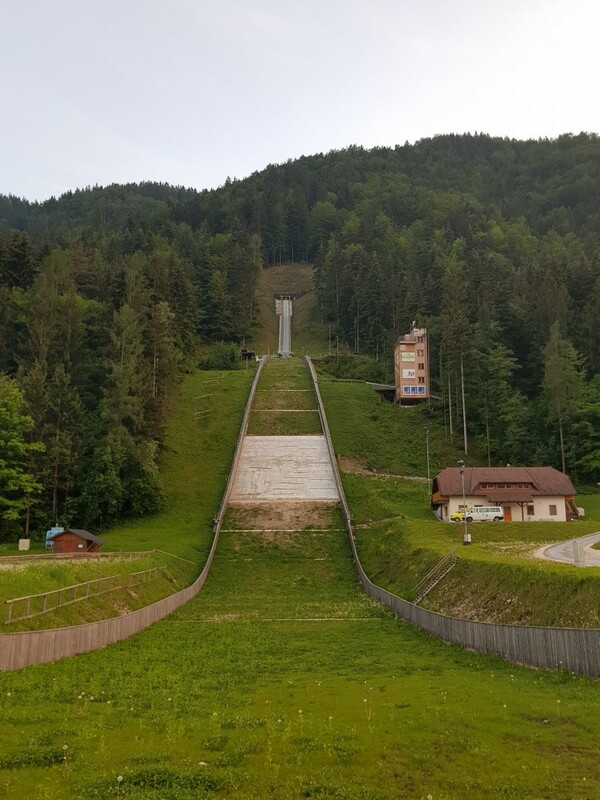 Es heißt richtig "Logarska Dolina". 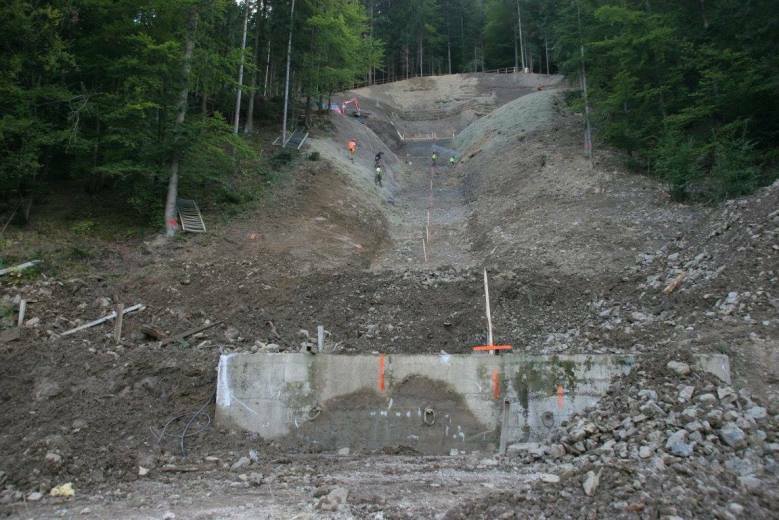 Der Rekord auf auf der "Logarska Dalina" HS 95 hat sich geändert. 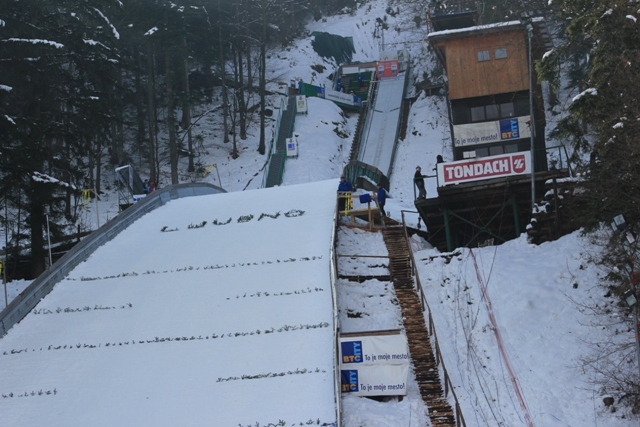 Im Training des Ladies World Cup sprang Sarah Hendrickson (USA) 91,0 m und übertraf die Bestweite von Daniela Iraschko / Dejan Judez um 1,5 m. Somit wird der Rekord von einer US-Amerikanerin gehalten.